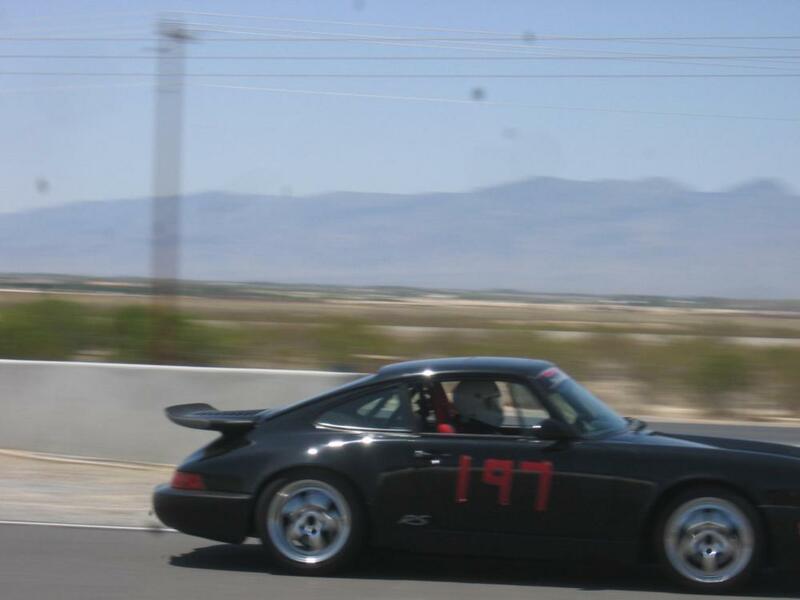 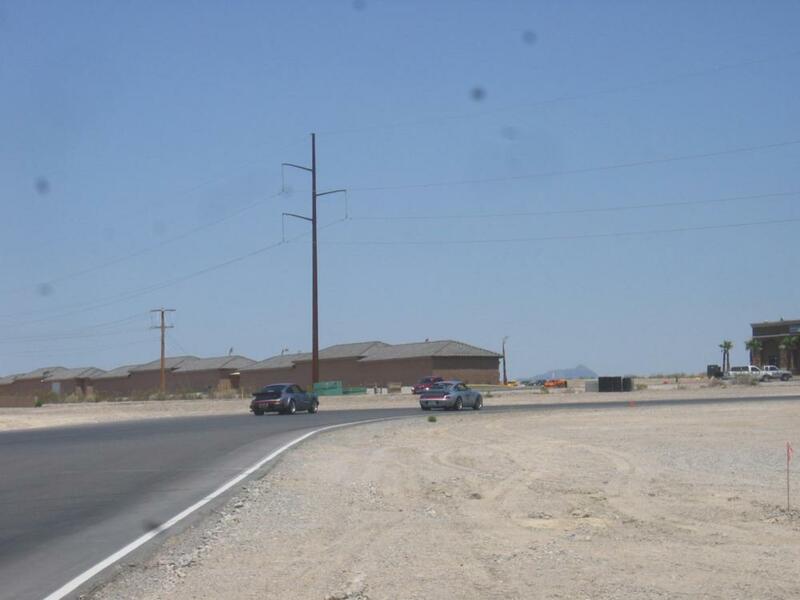 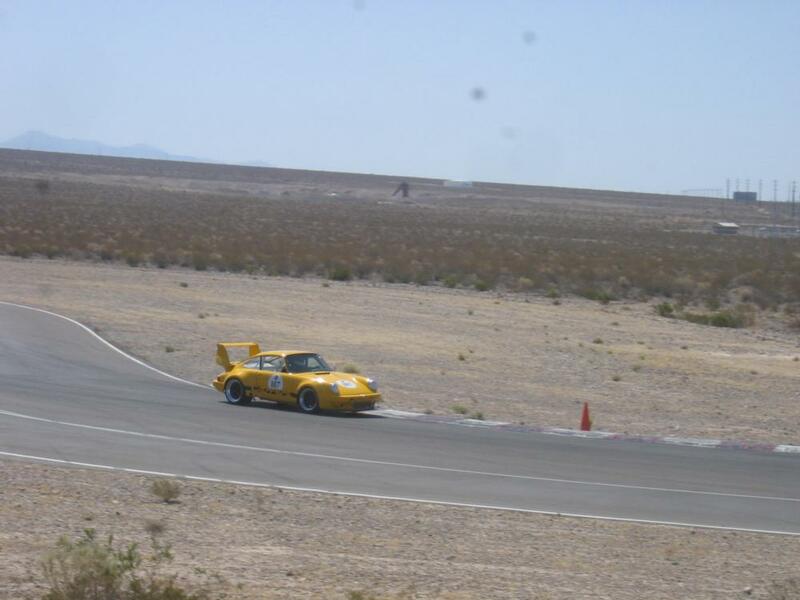 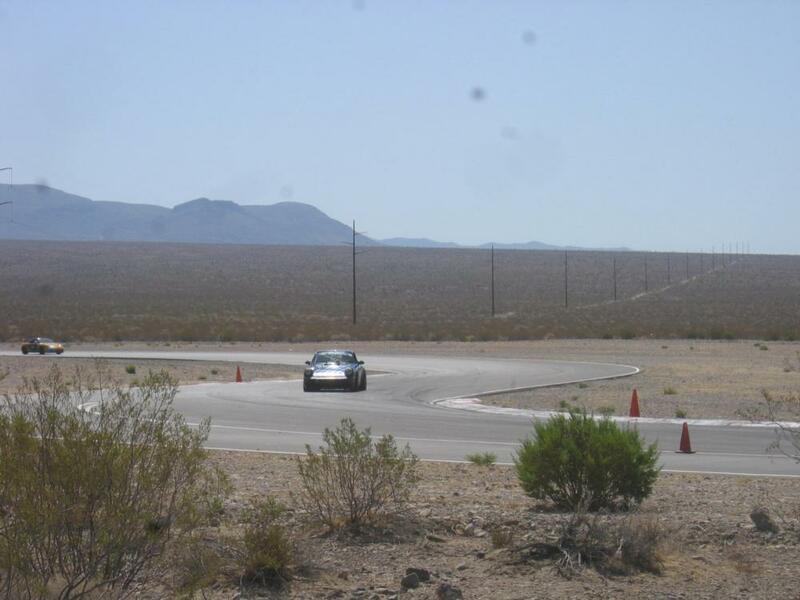 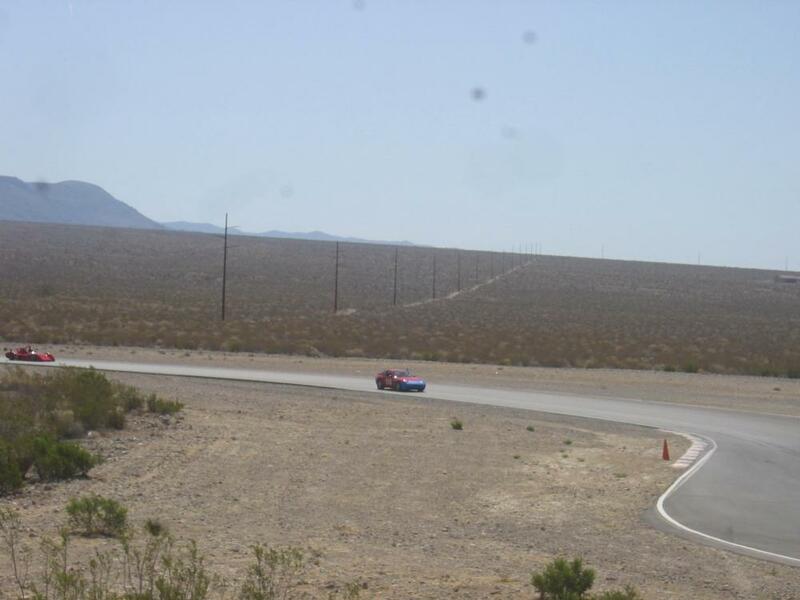 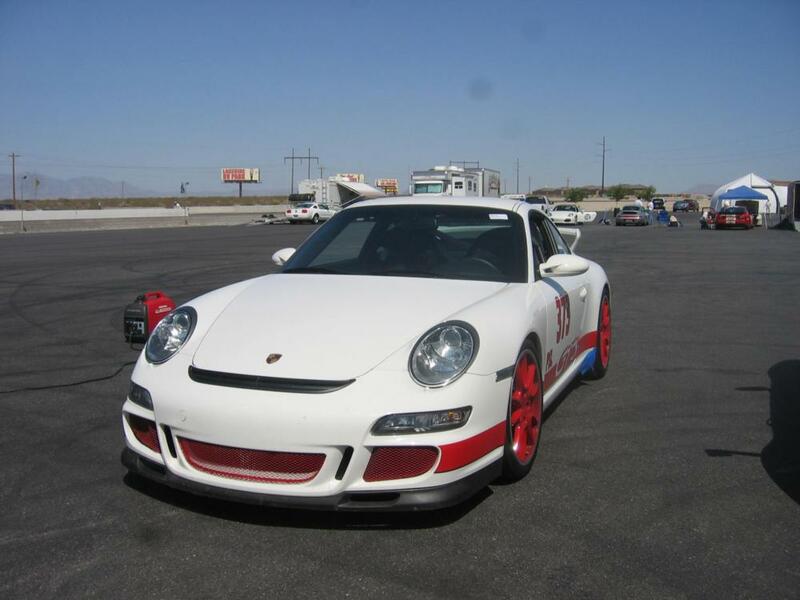 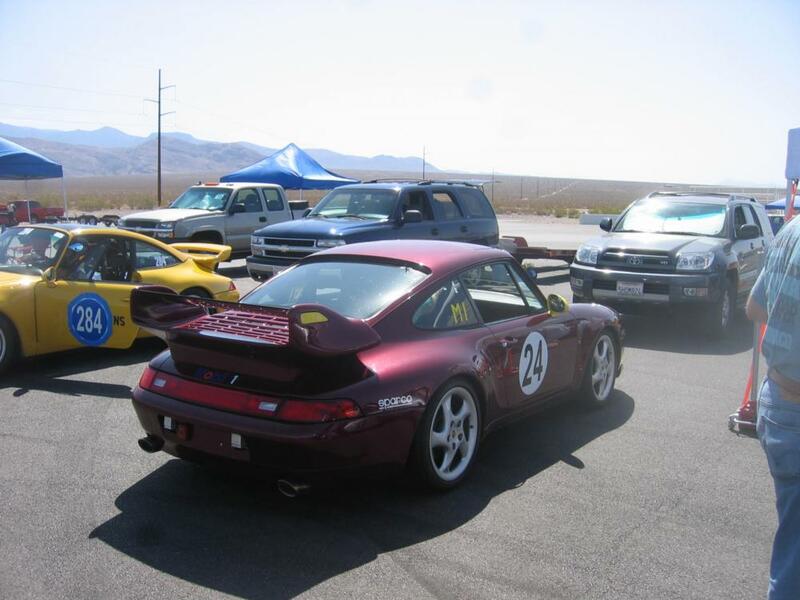 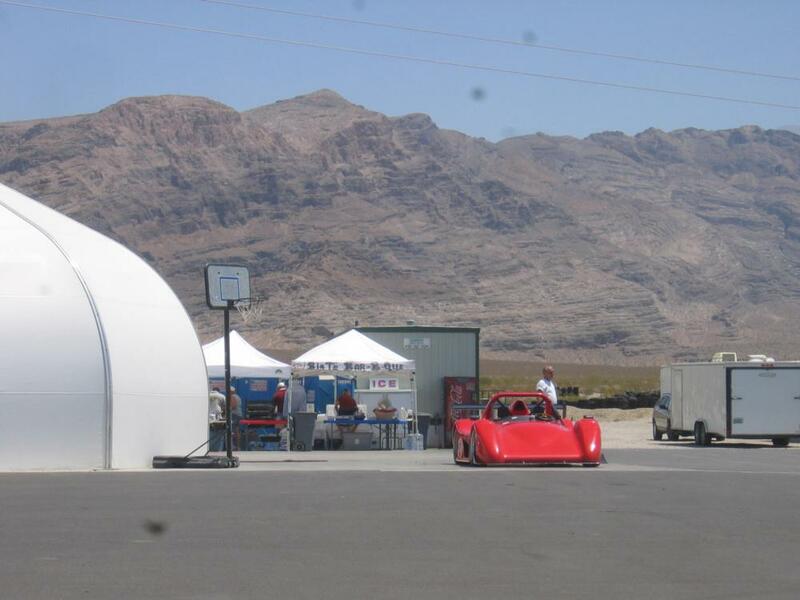 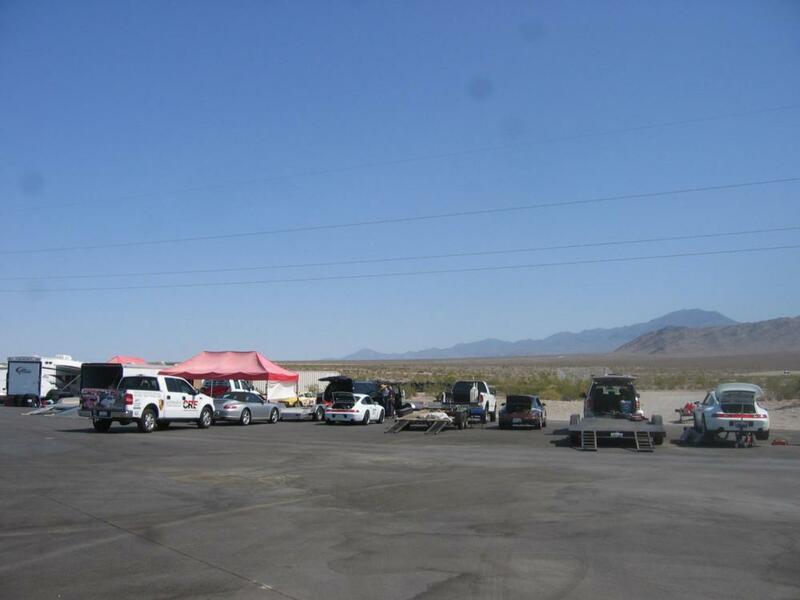 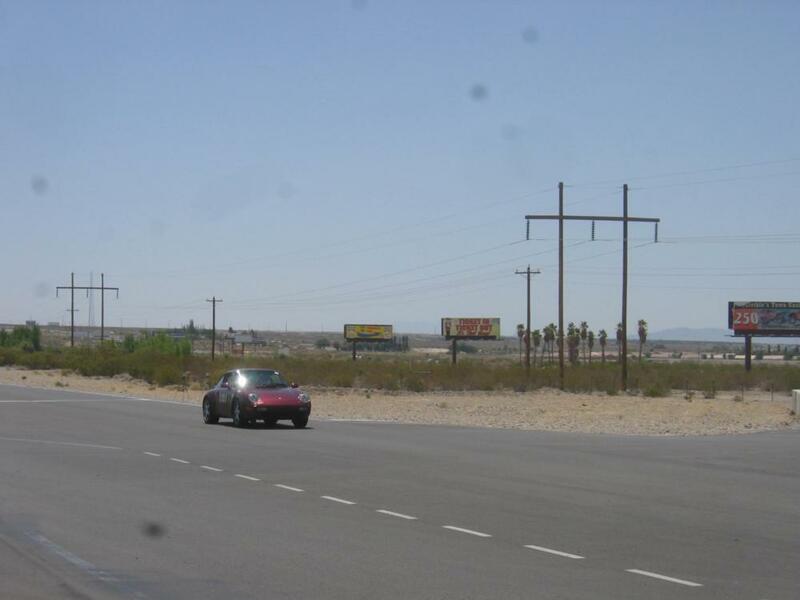 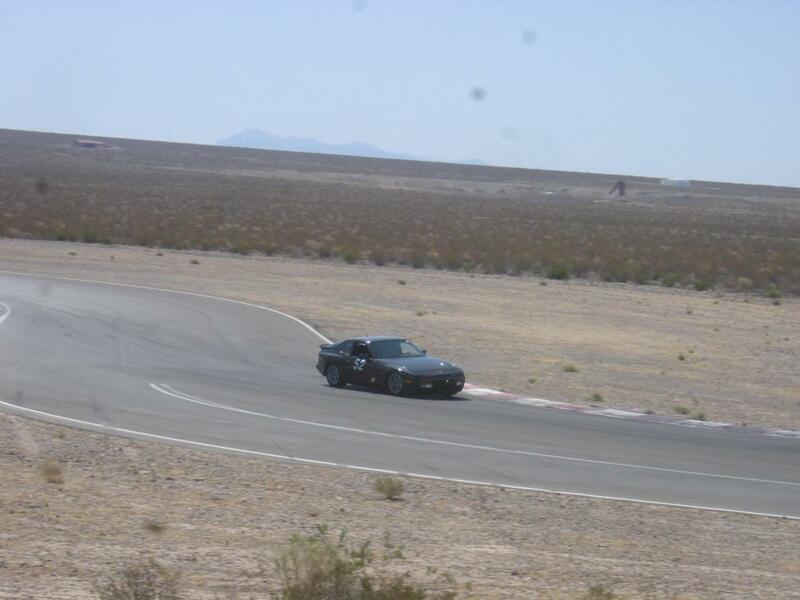 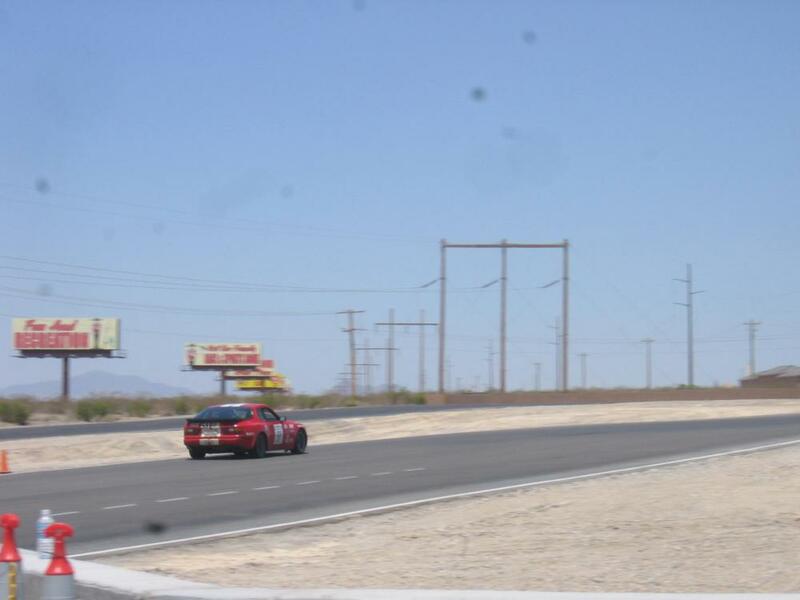 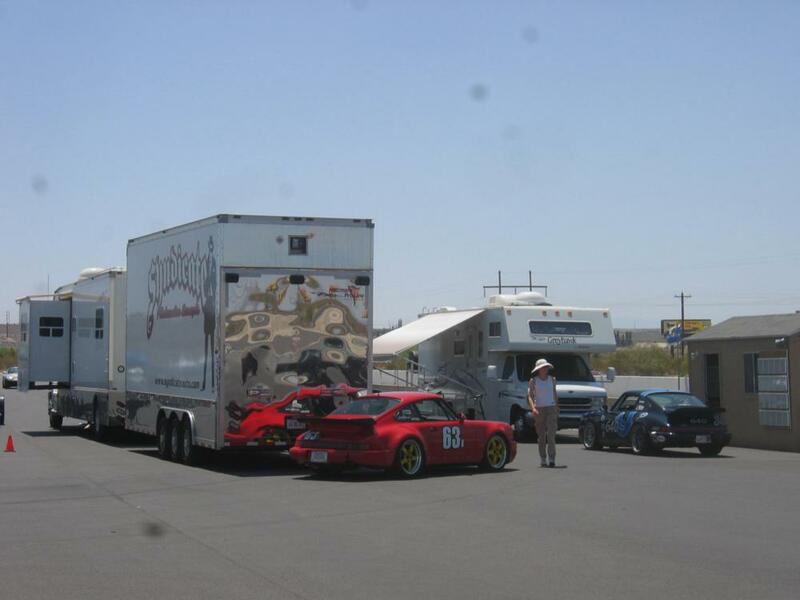 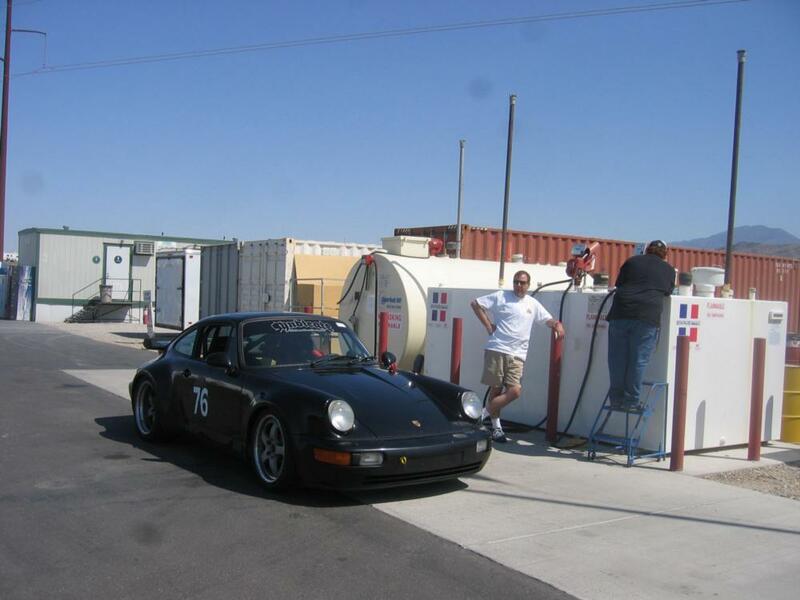 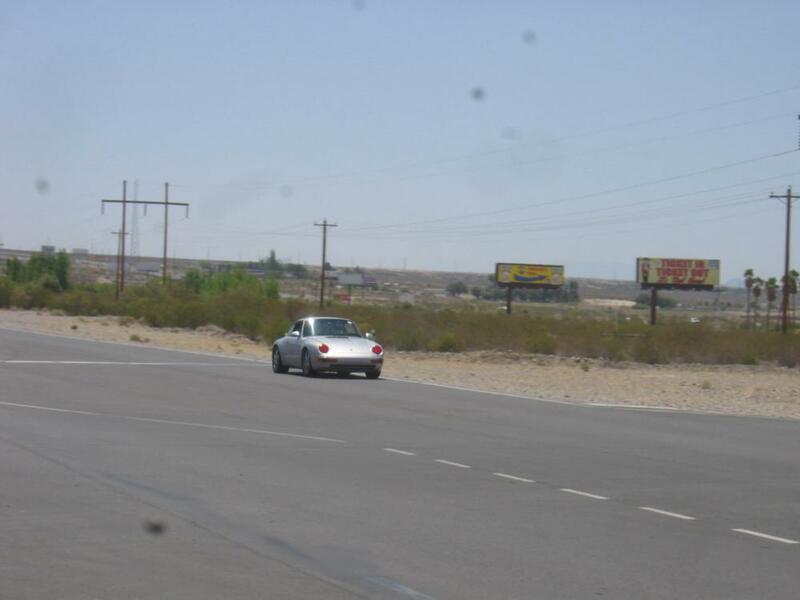 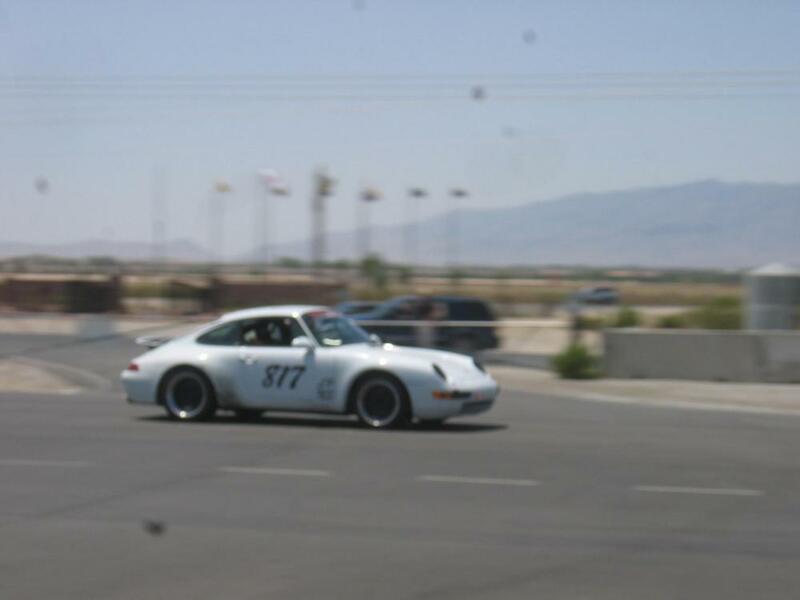 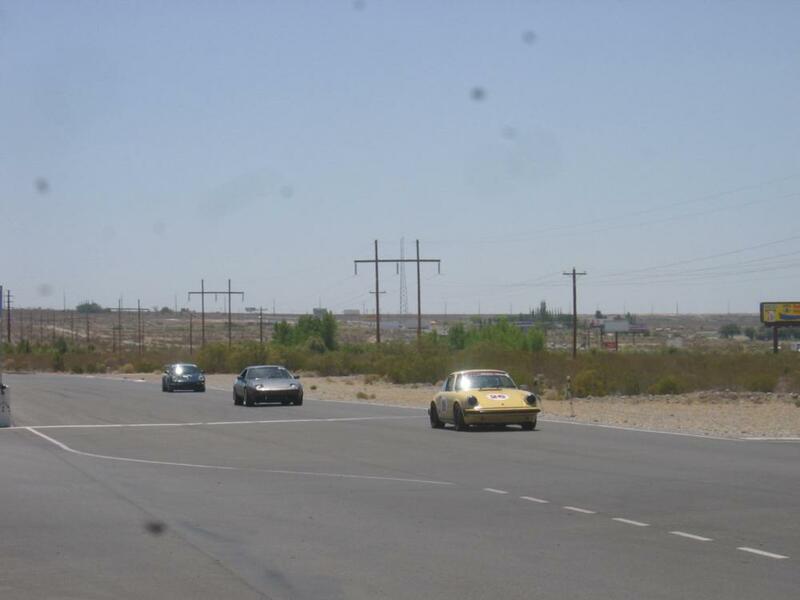 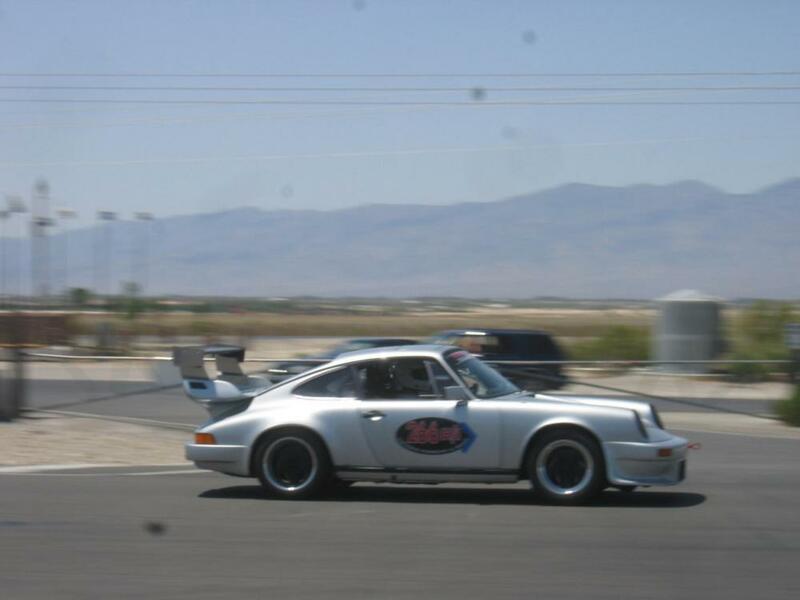 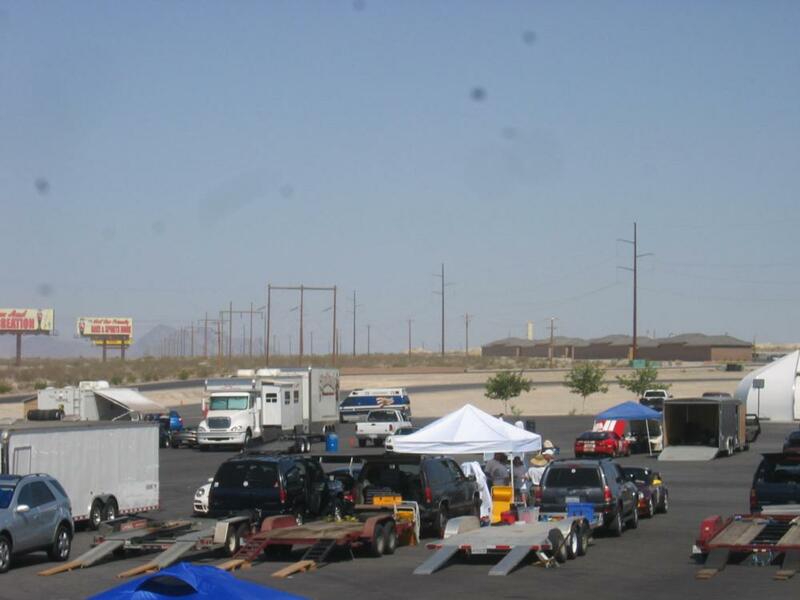 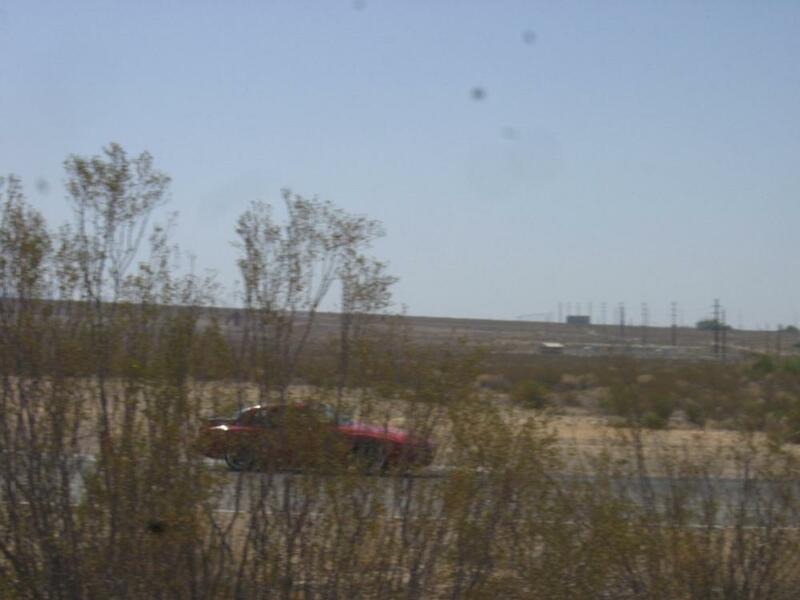 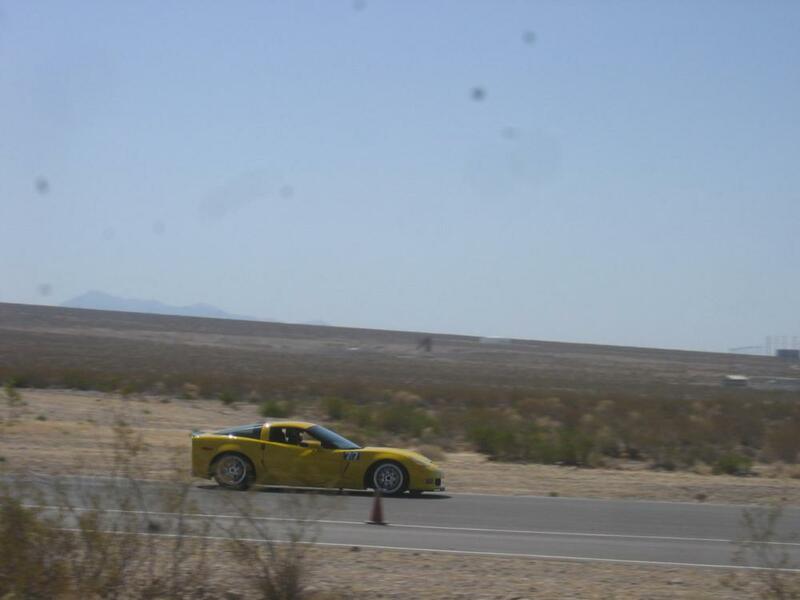 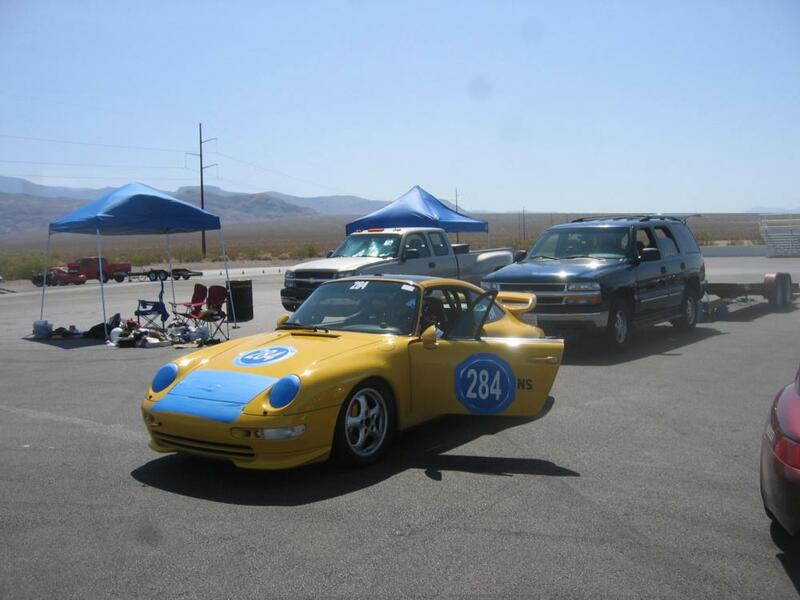 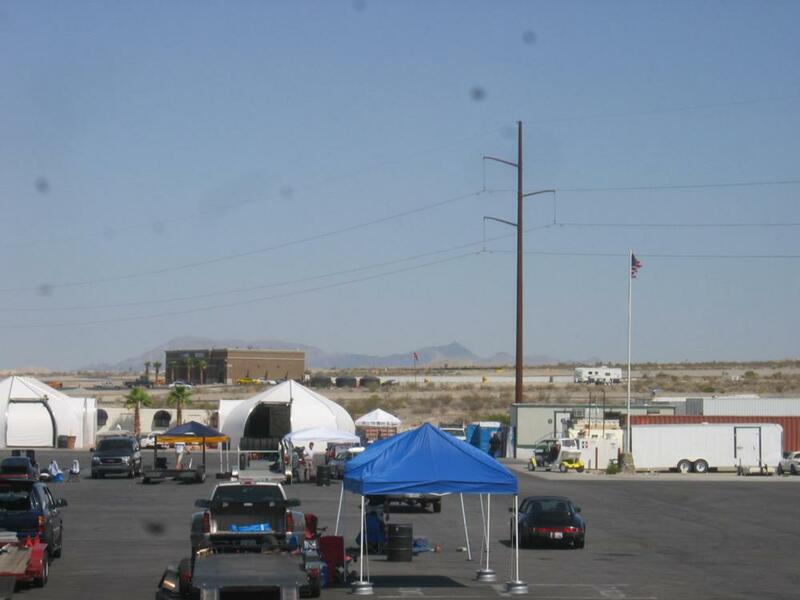 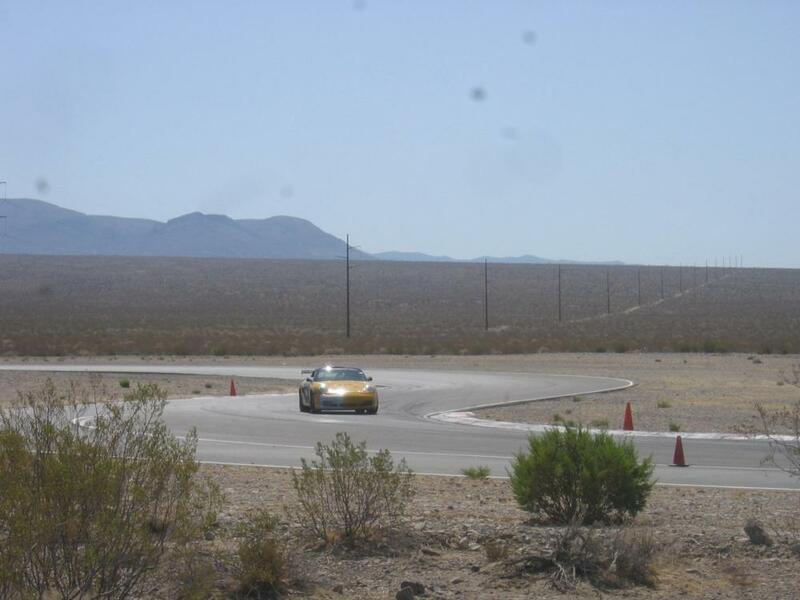 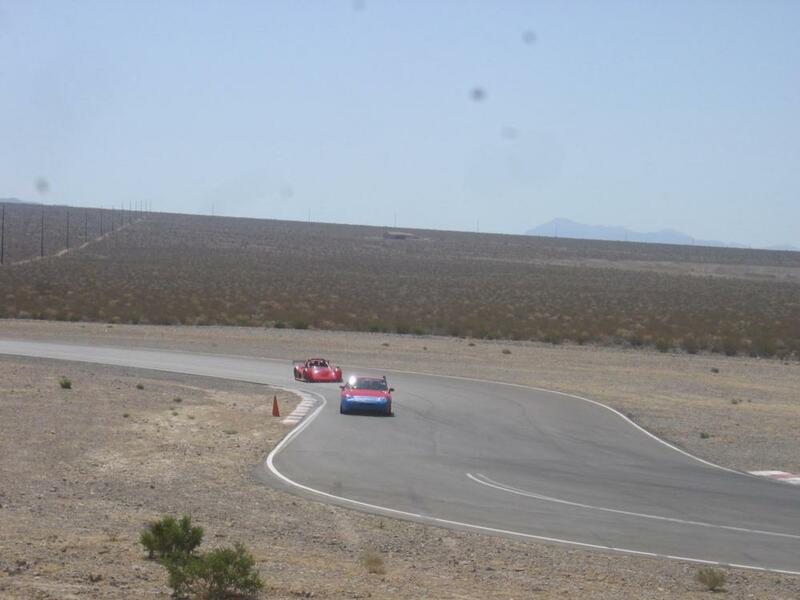 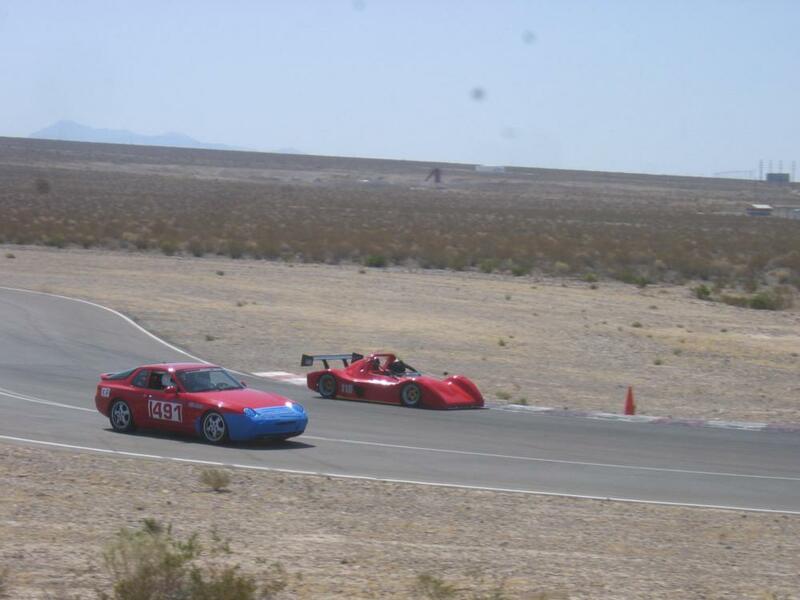 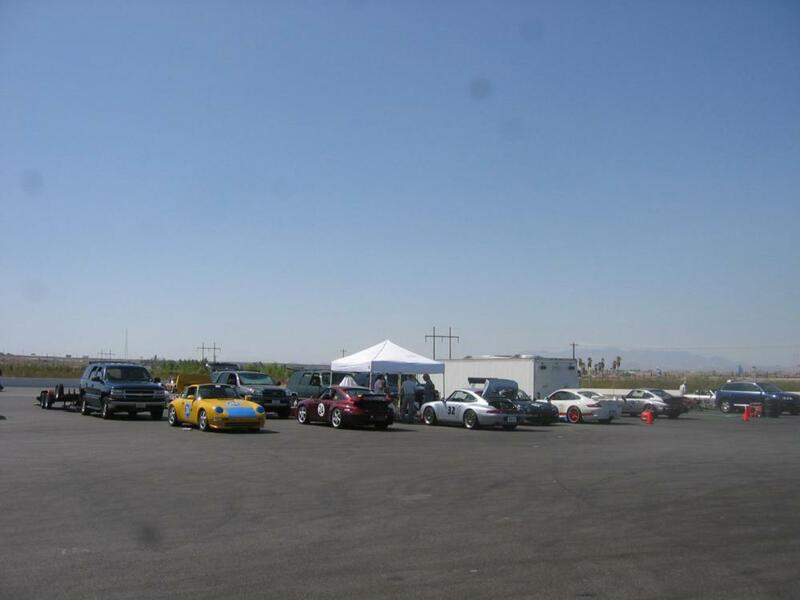 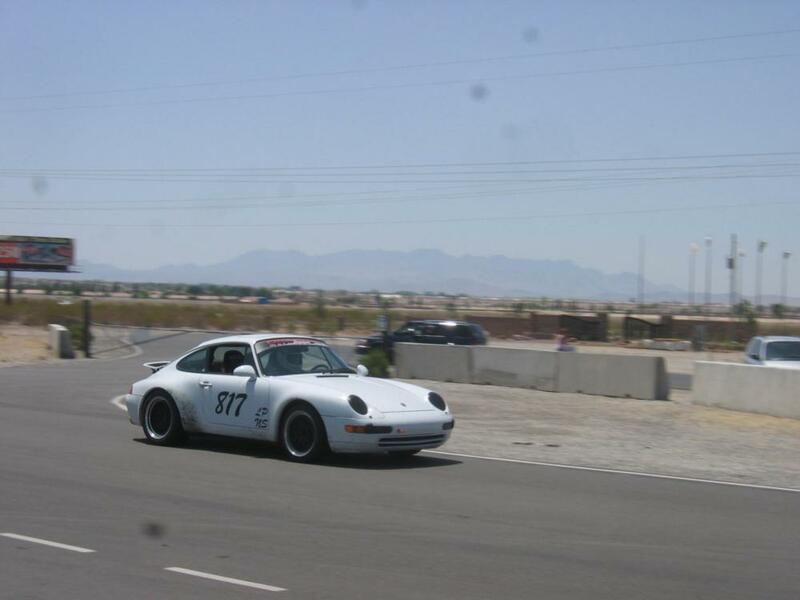 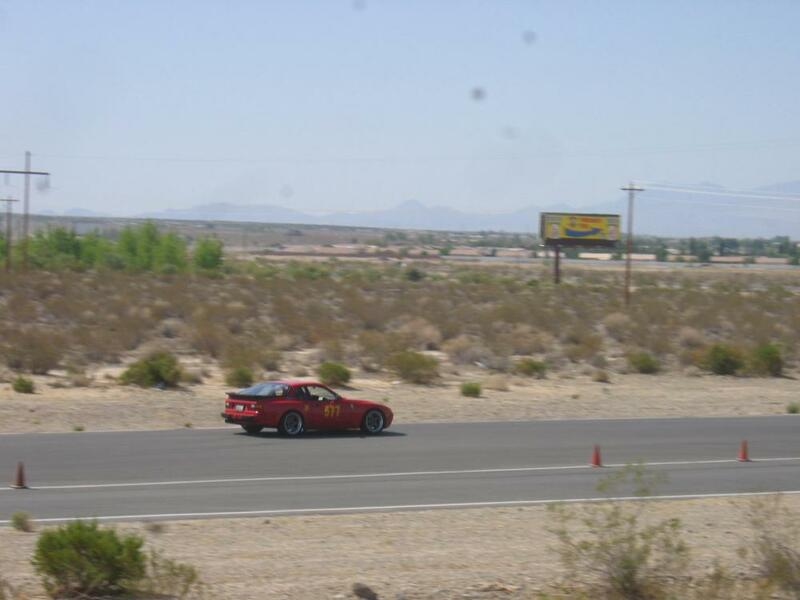 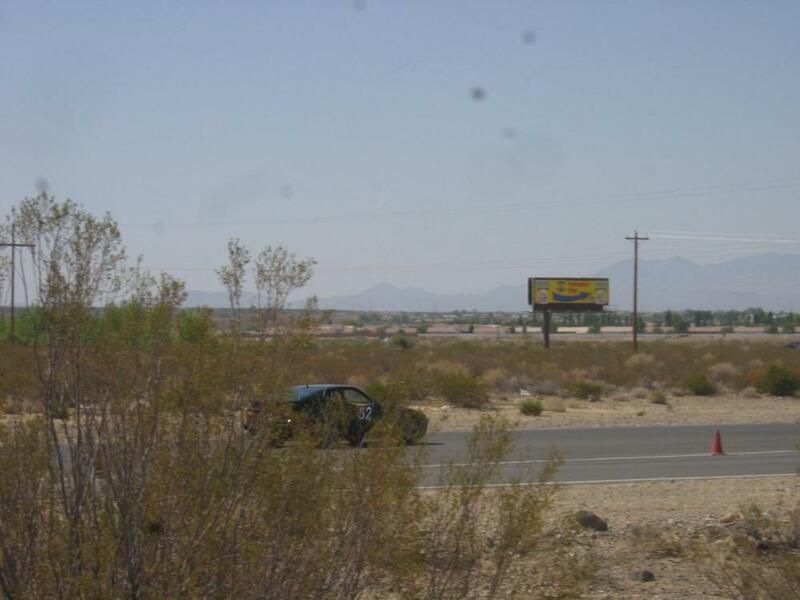 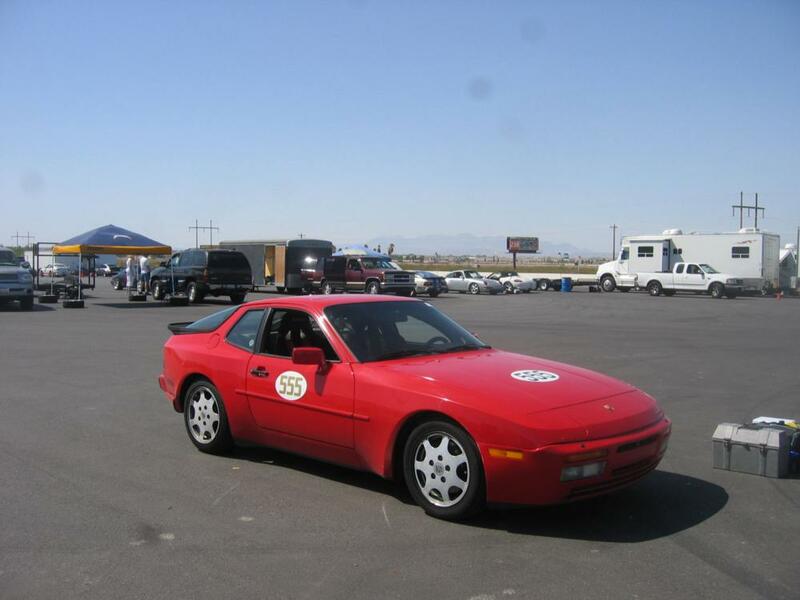 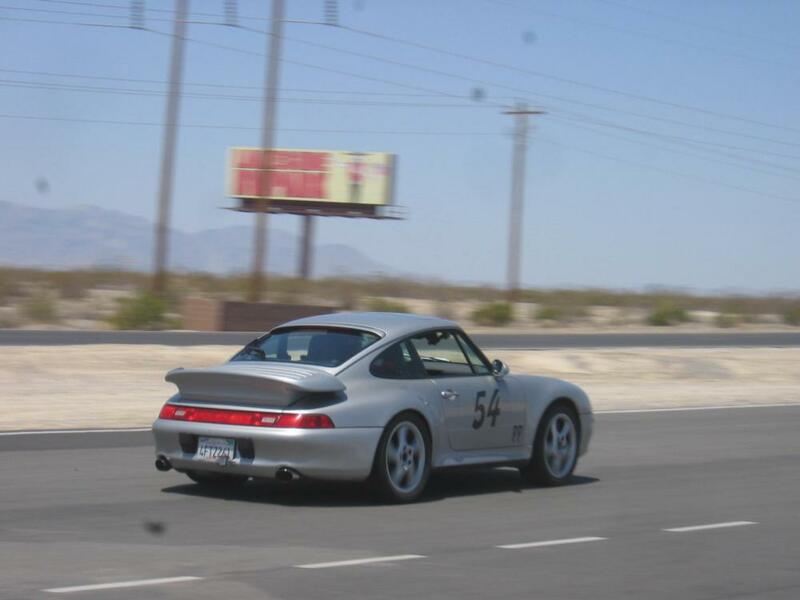 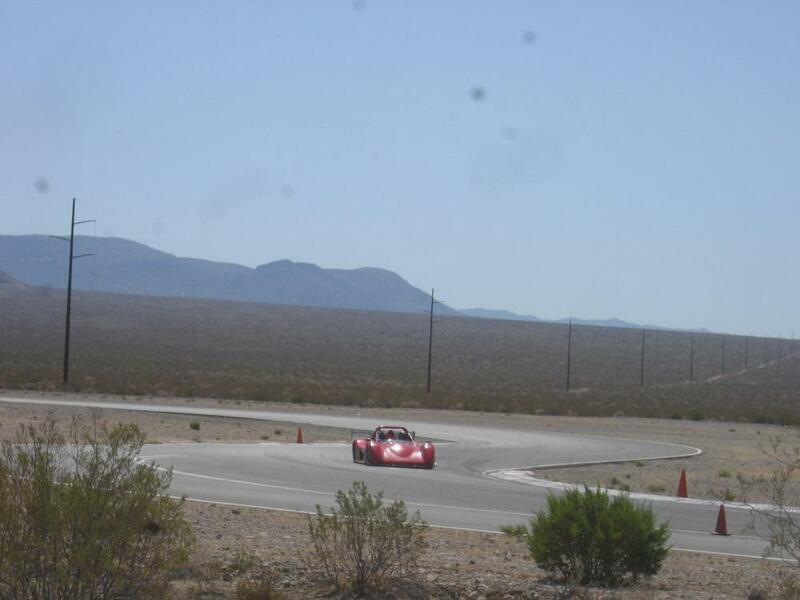 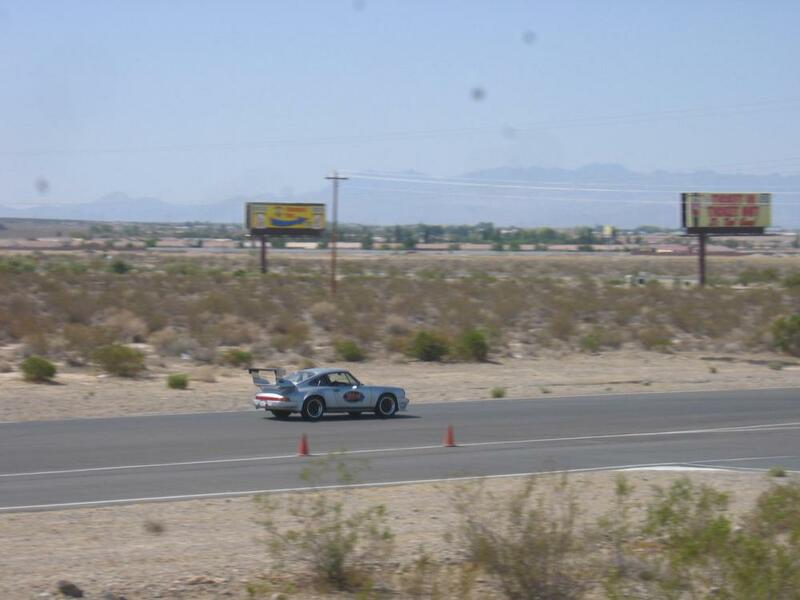 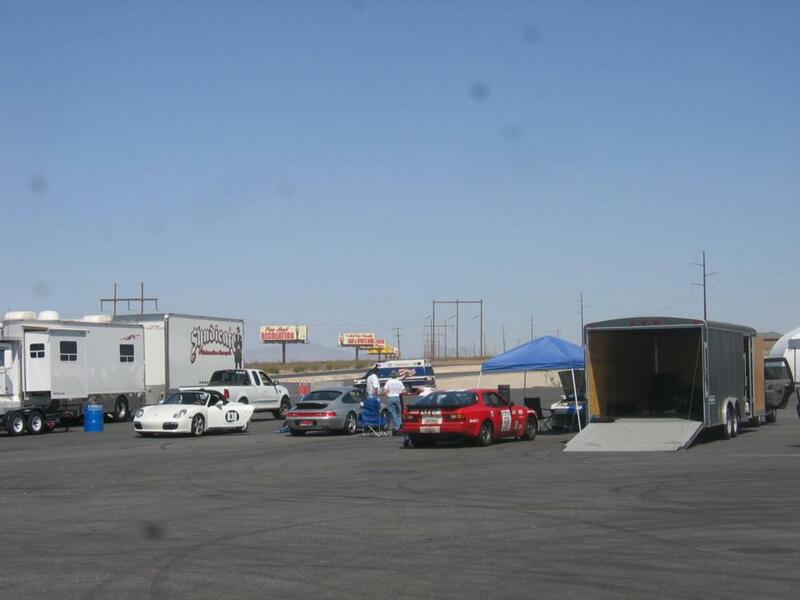 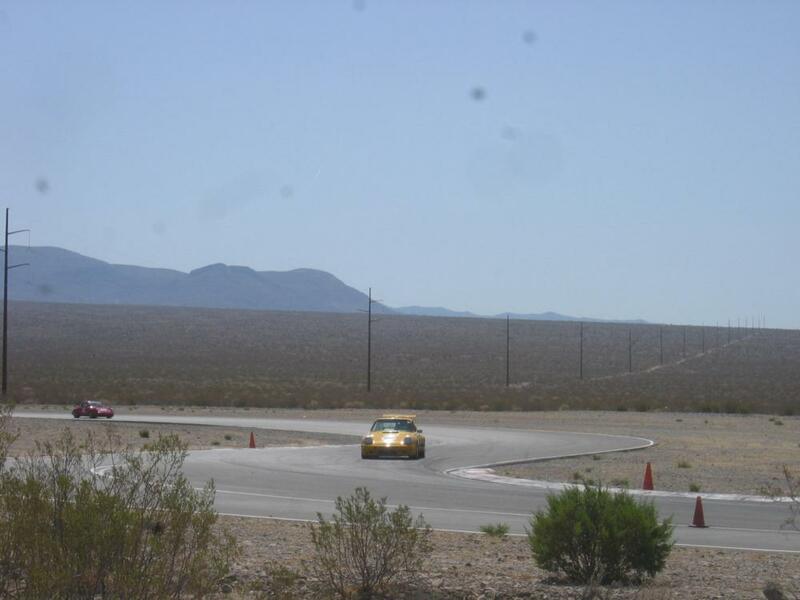 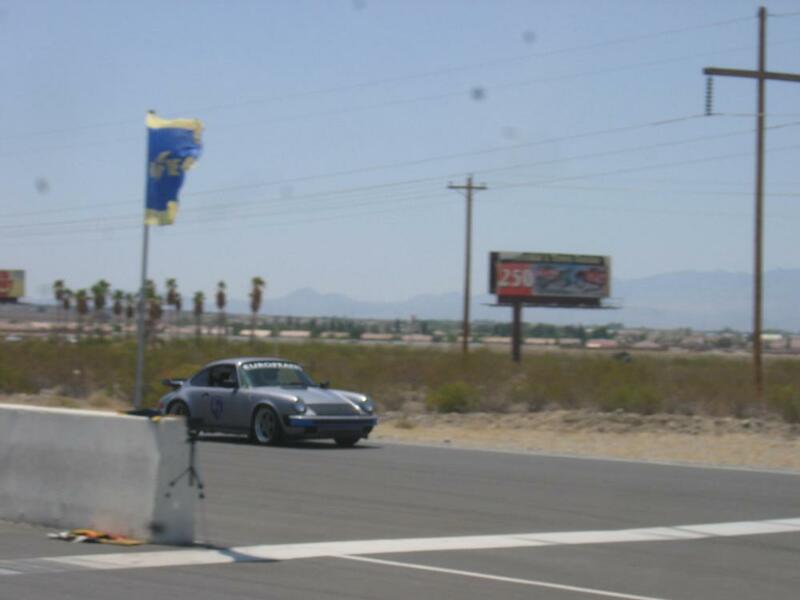 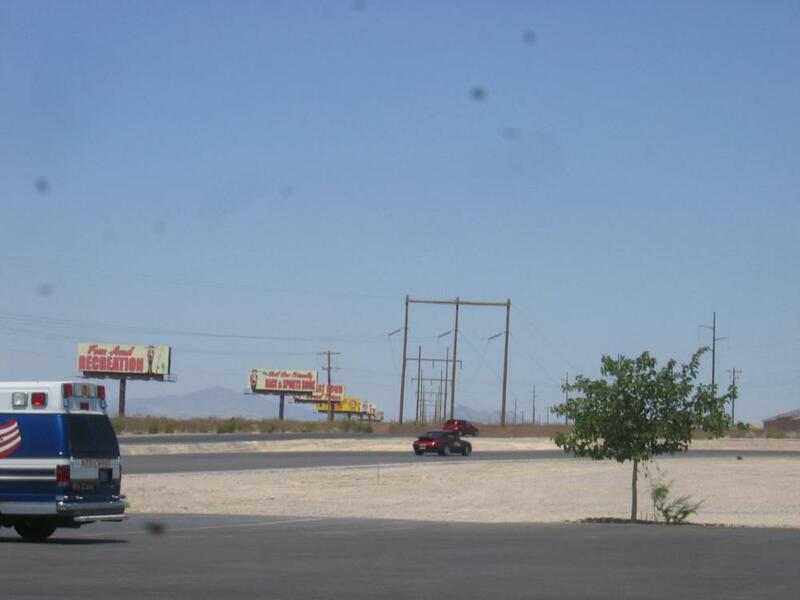 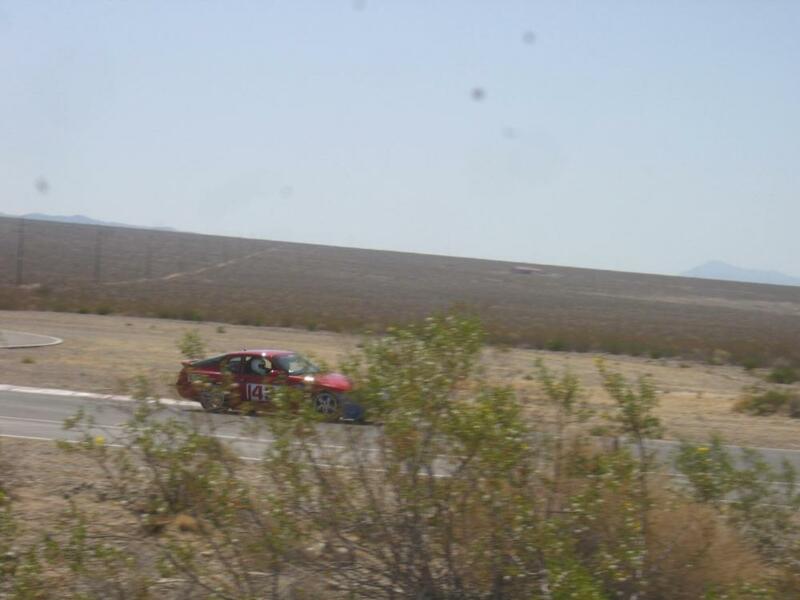 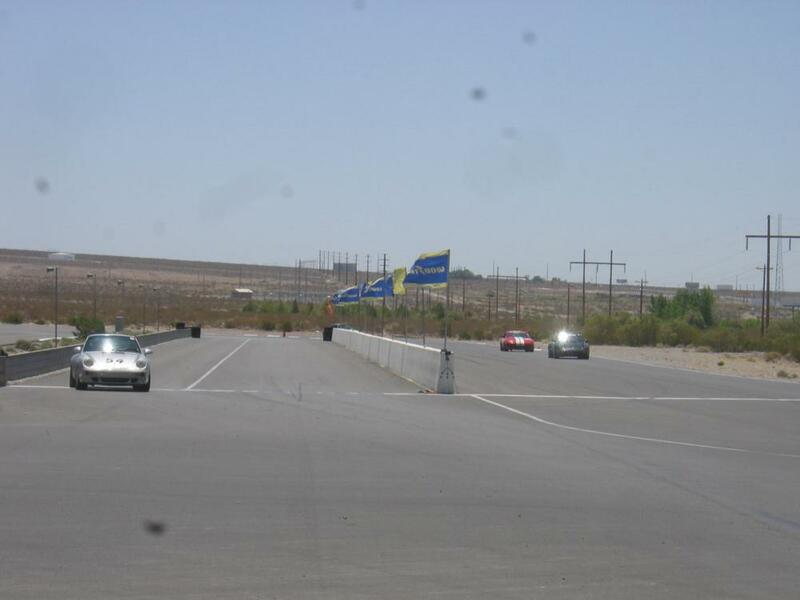 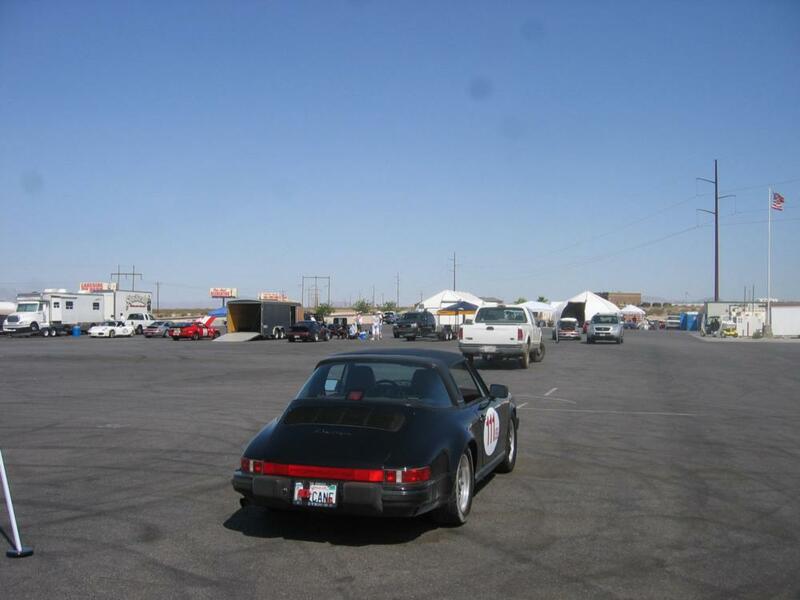 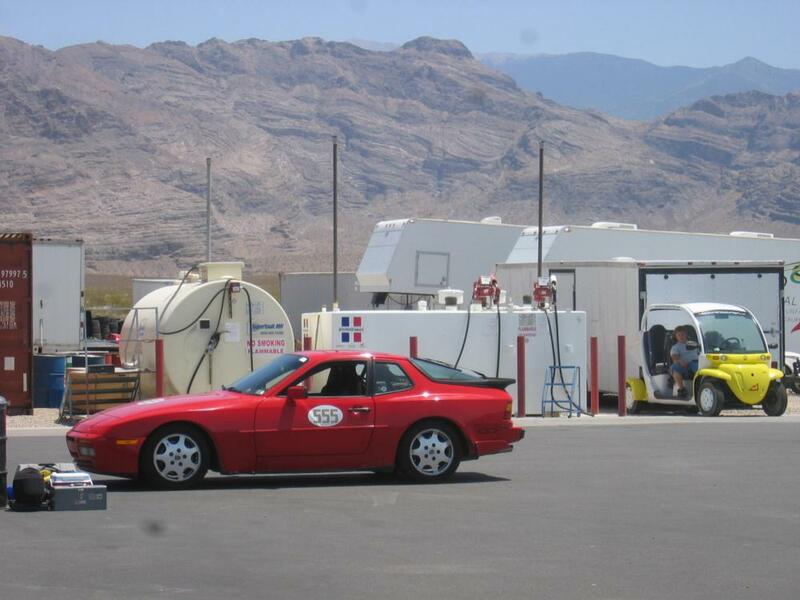 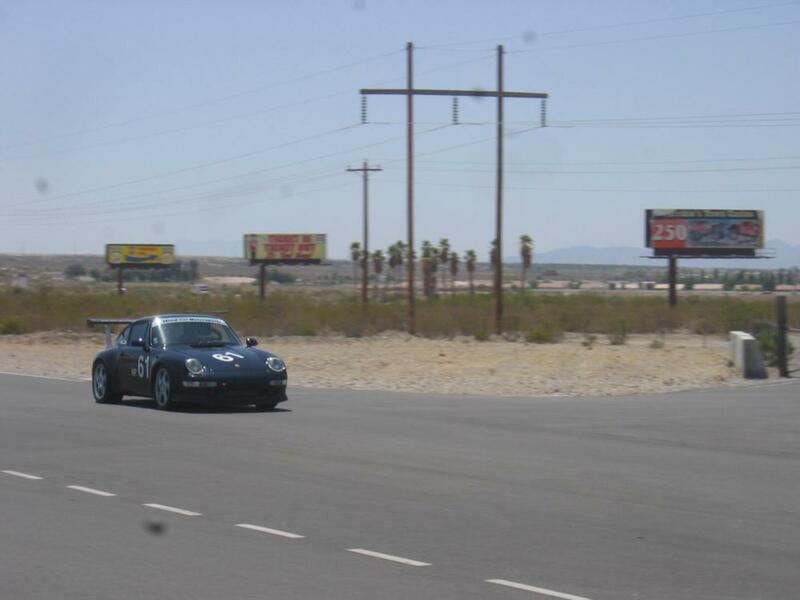 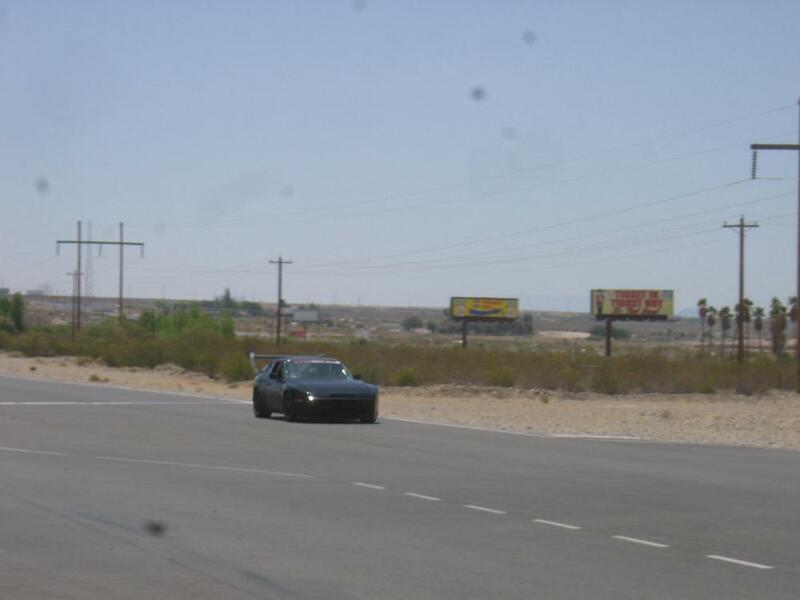 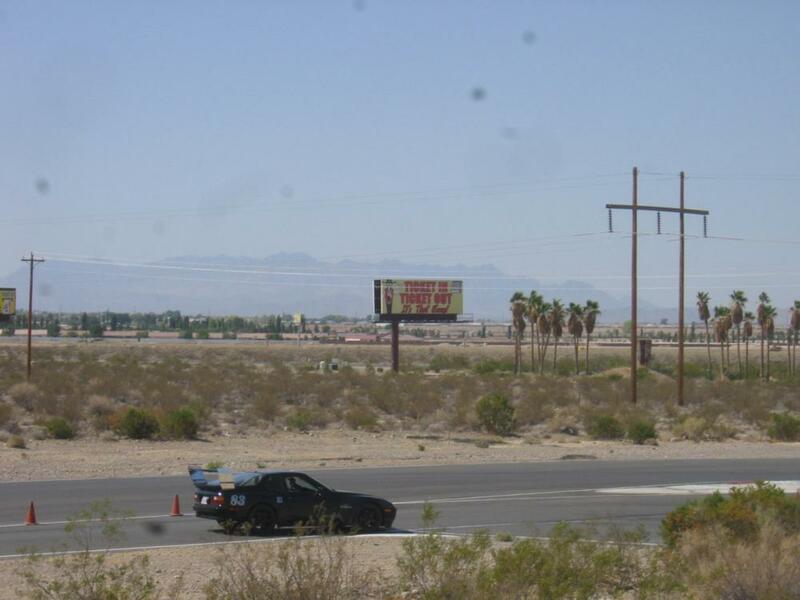 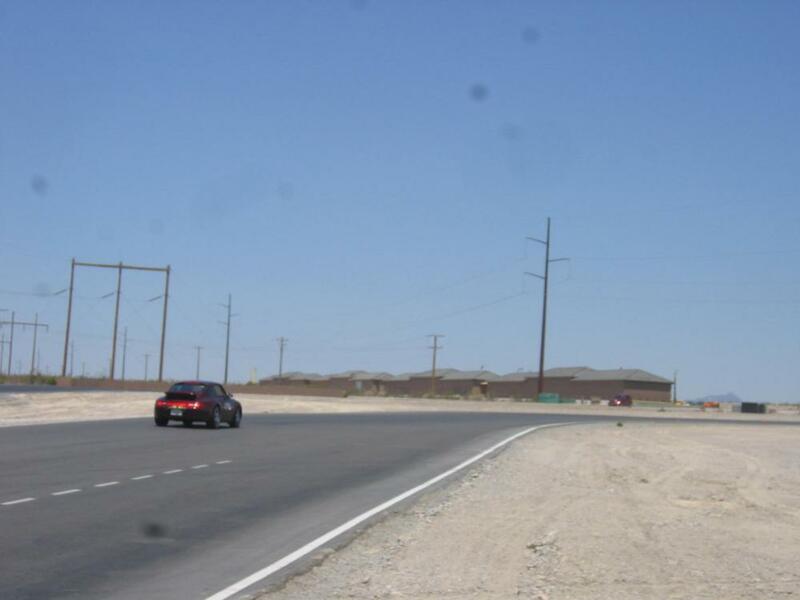 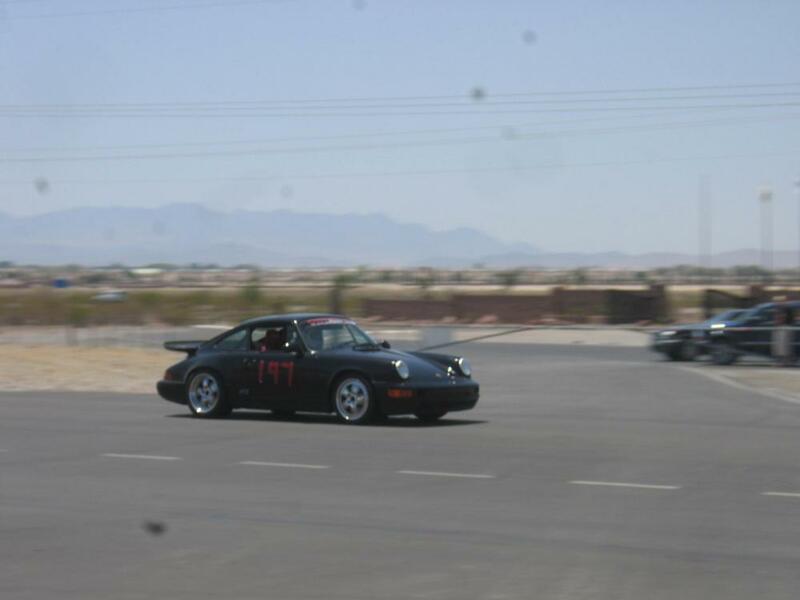 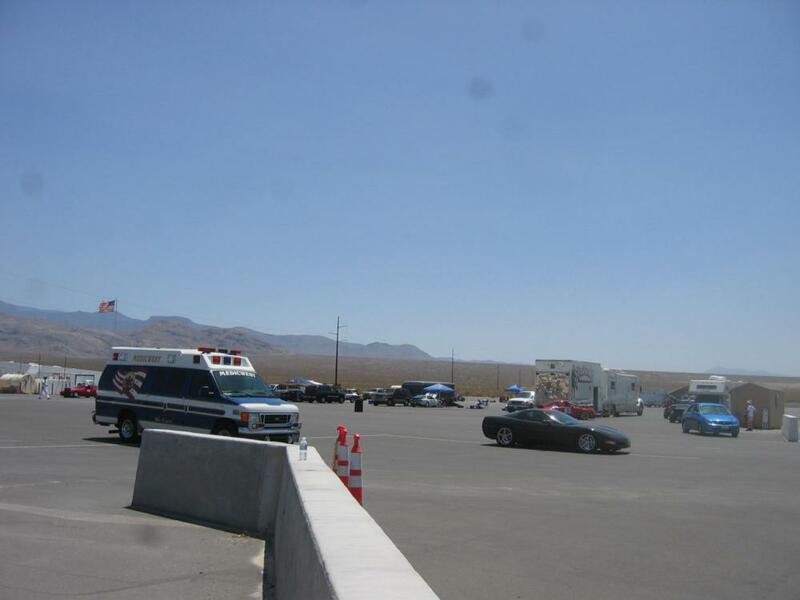 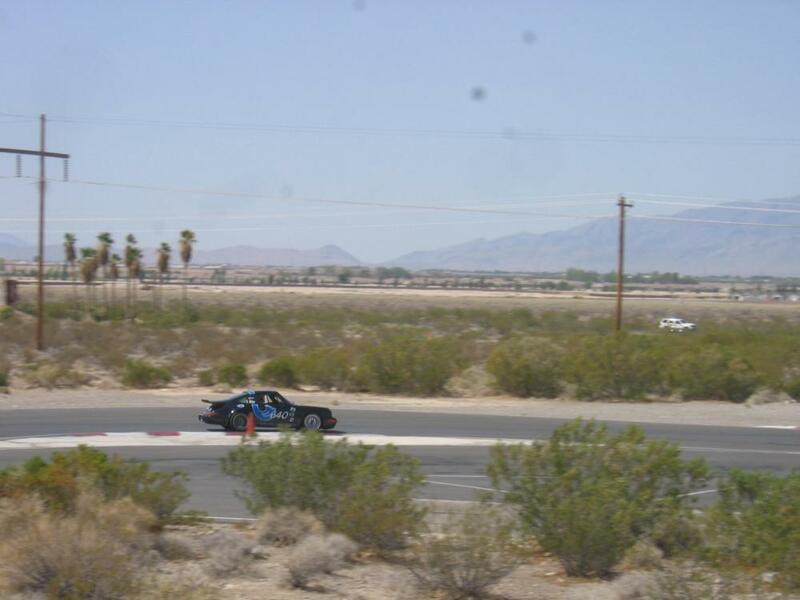 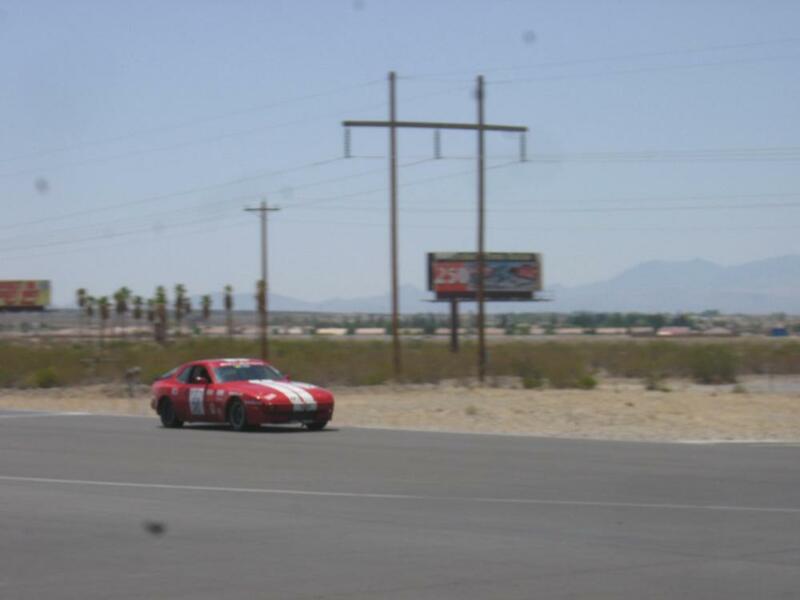 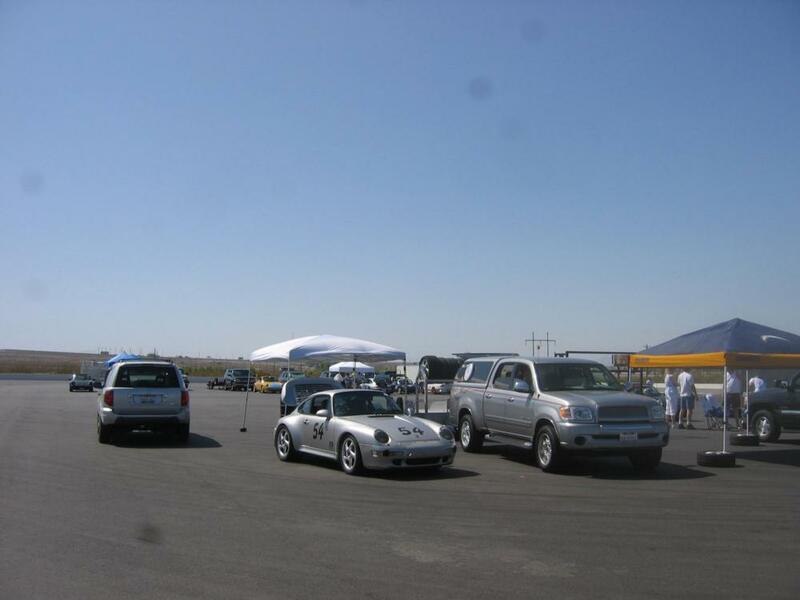 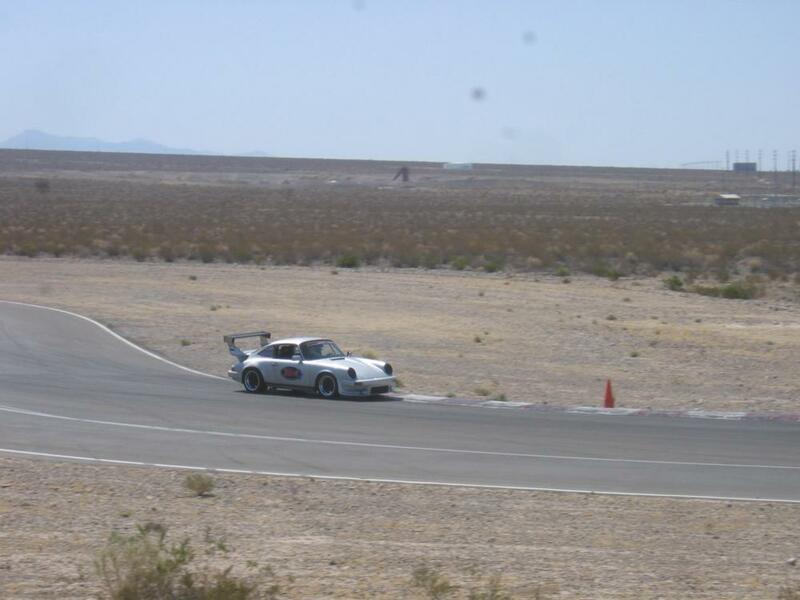 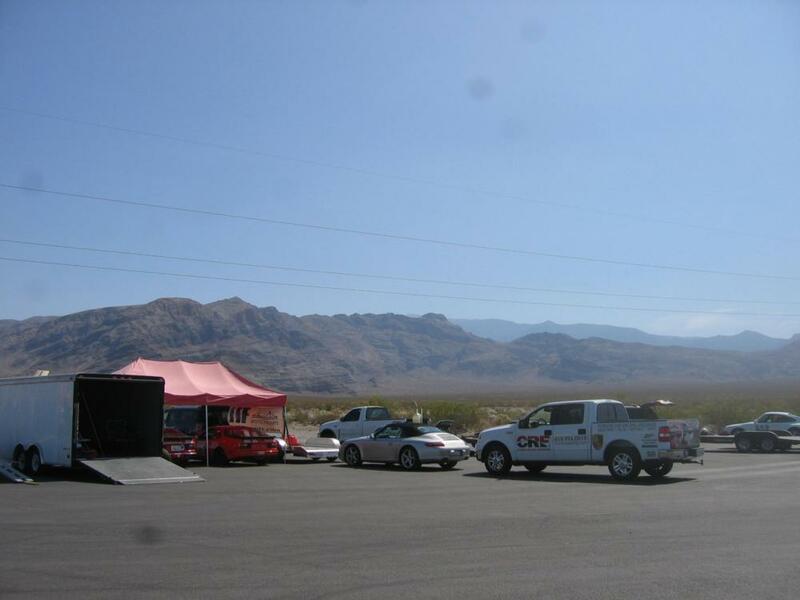 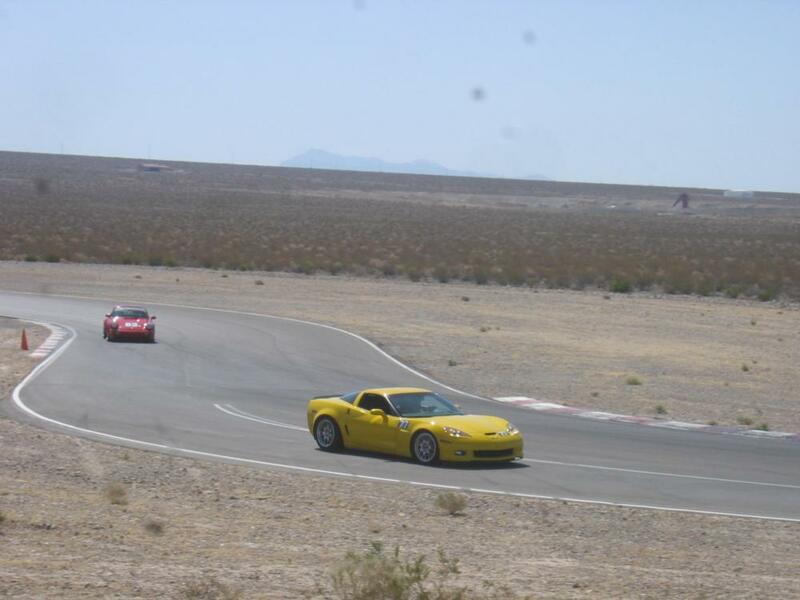 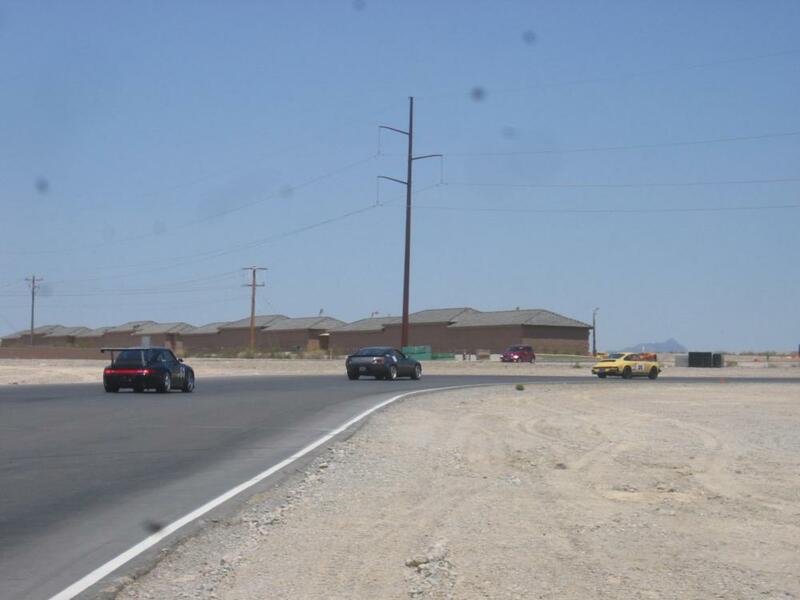 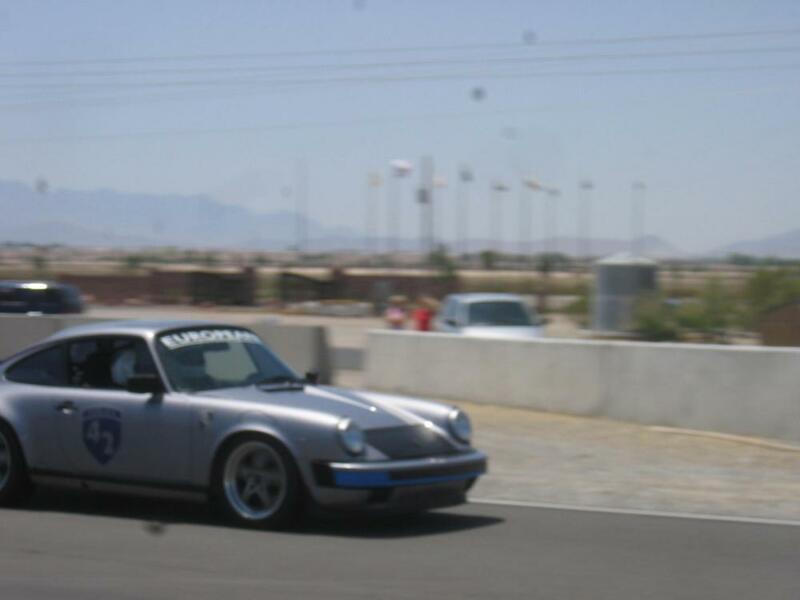 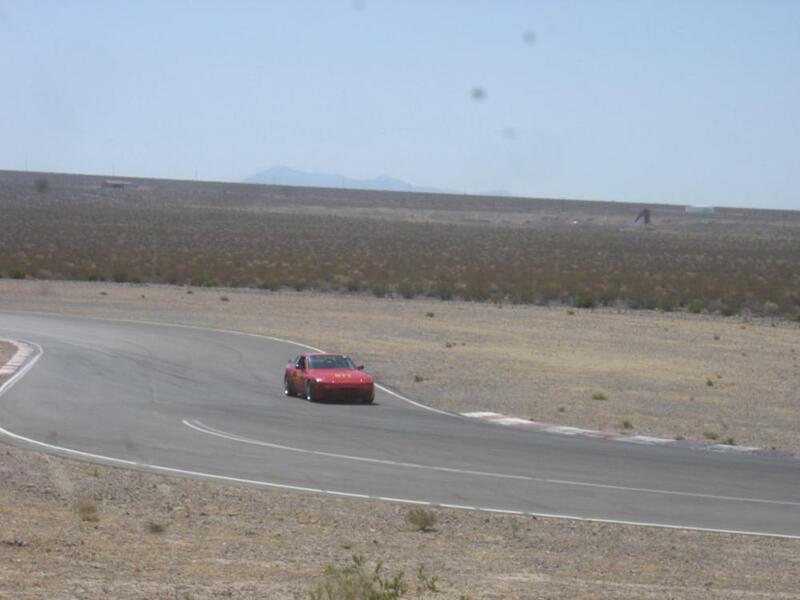 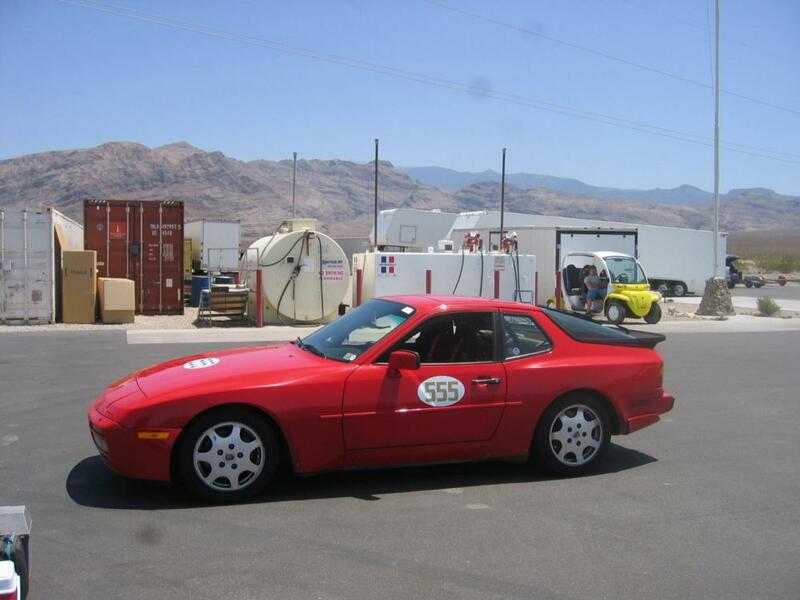 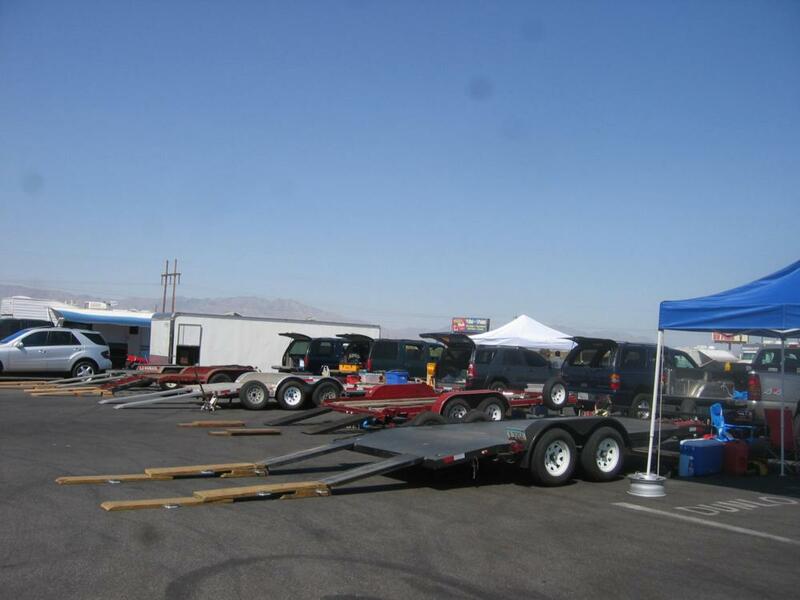 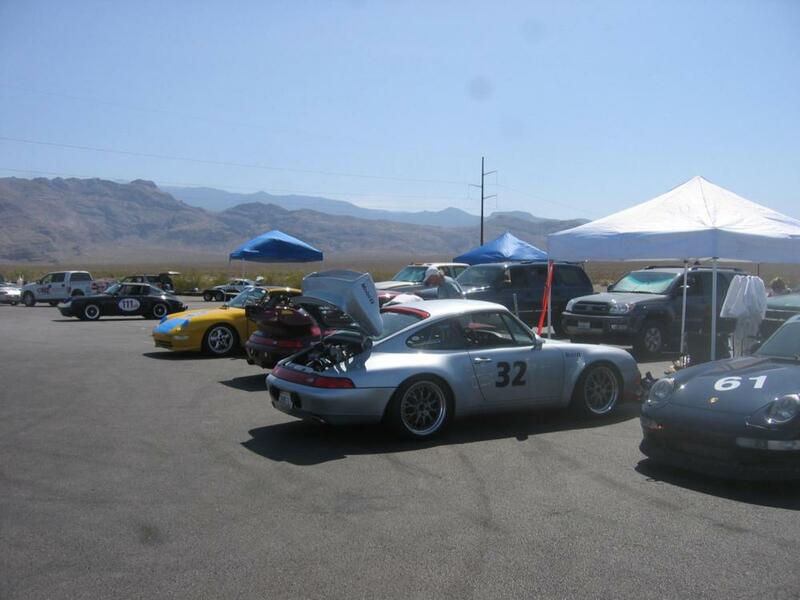 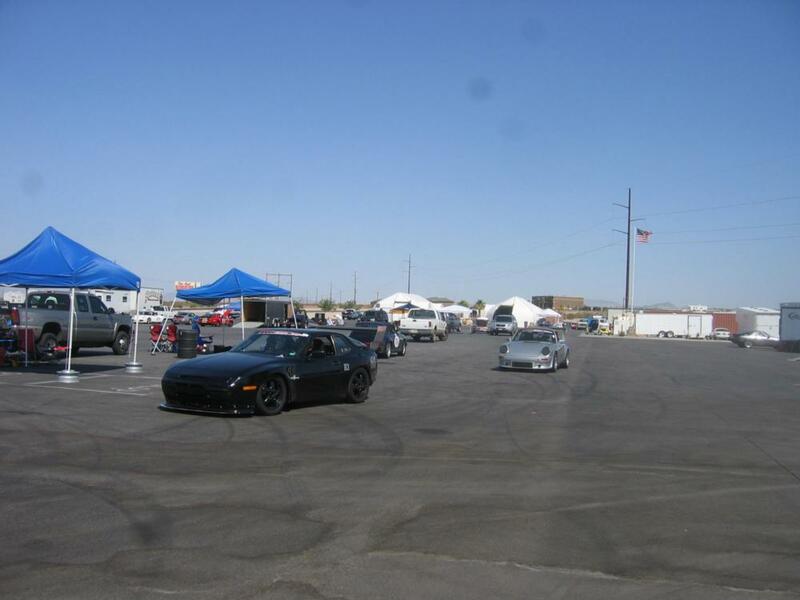 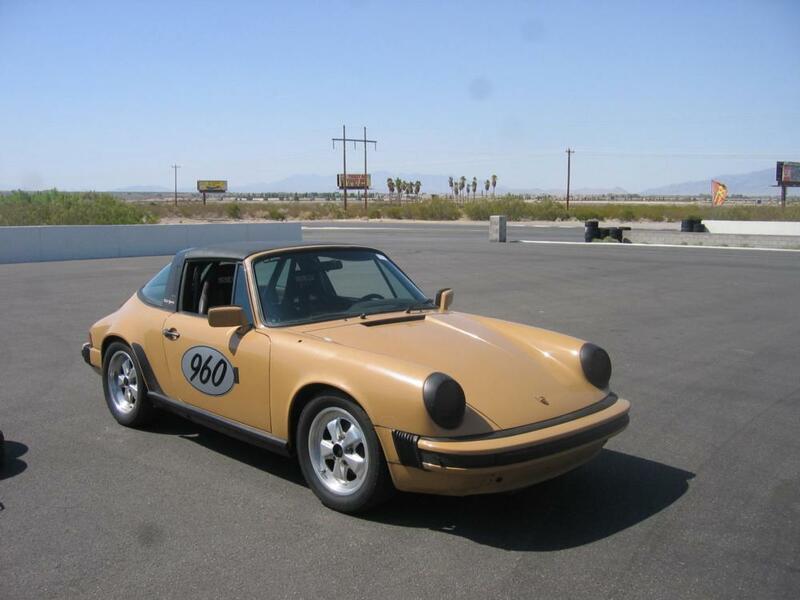 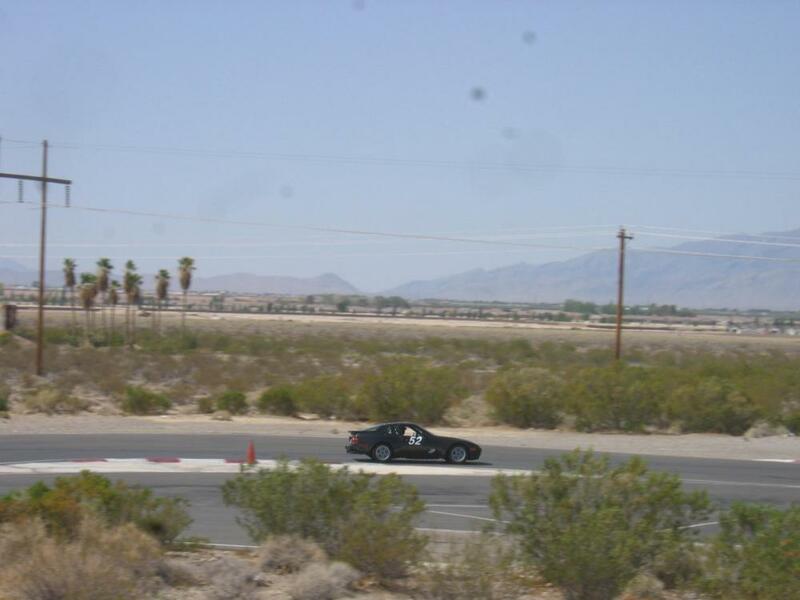 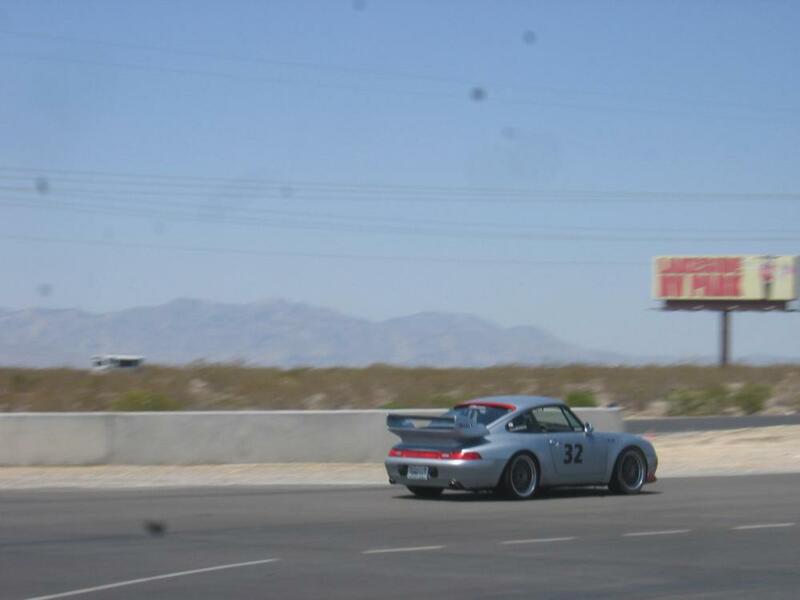 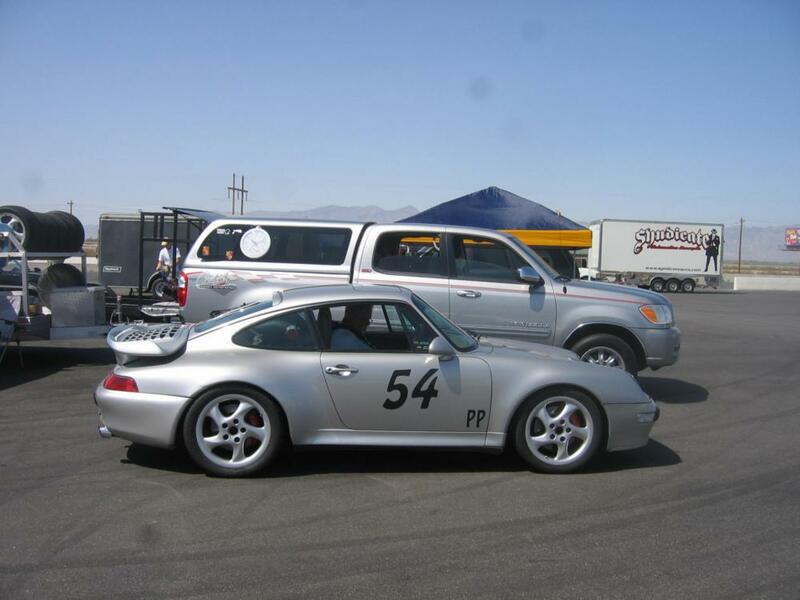 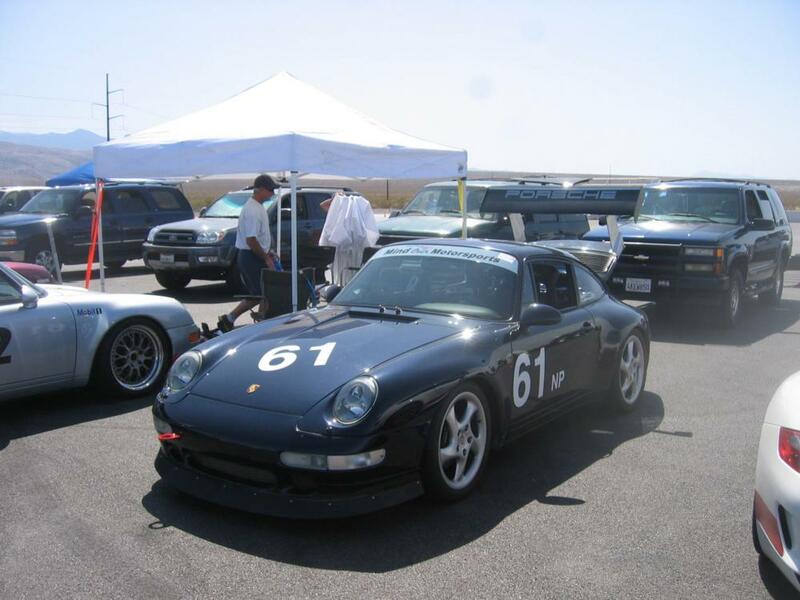 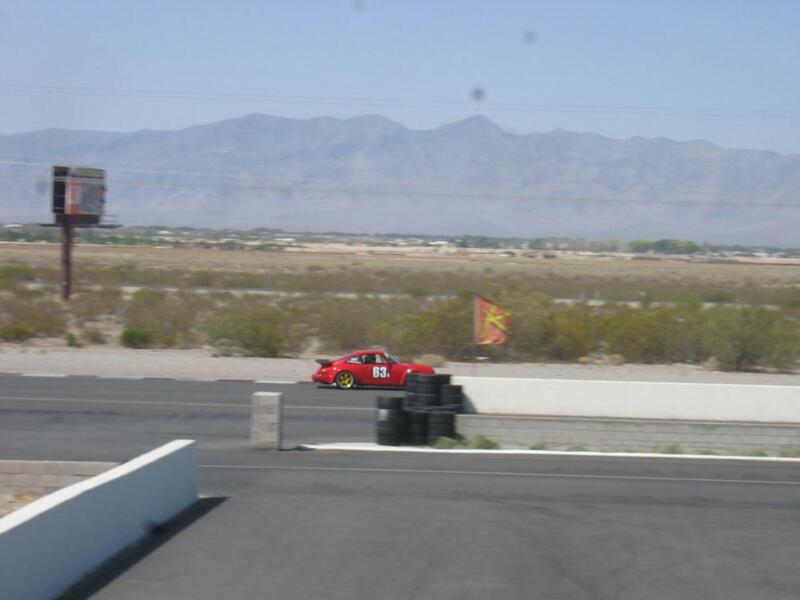 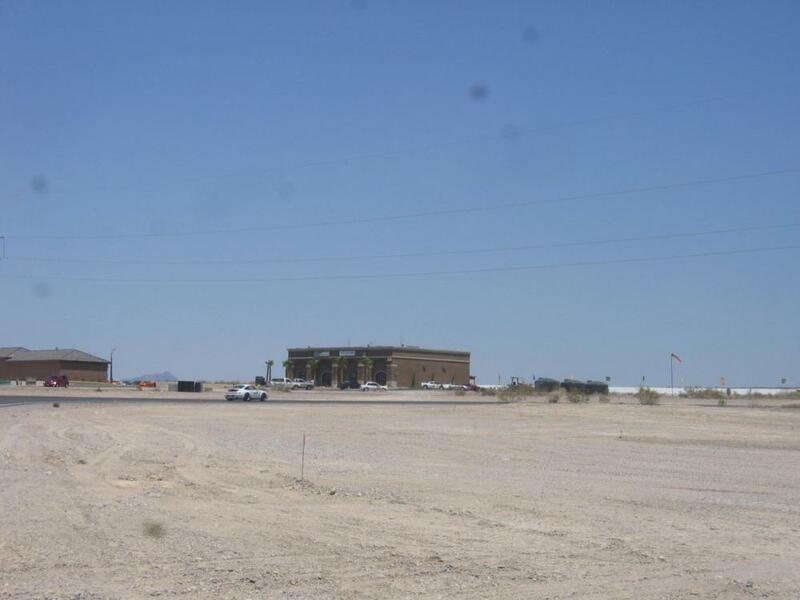 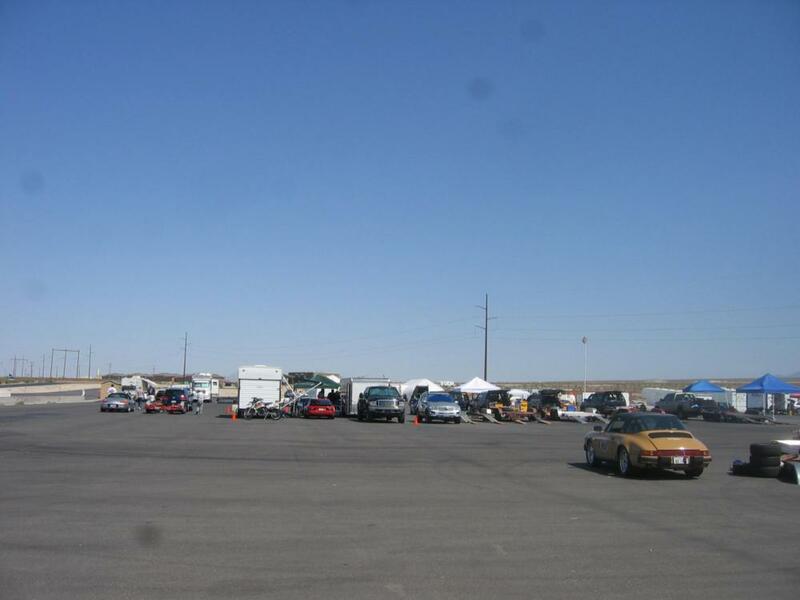 Jim Navarro, Dave Dewane, Jeff Wenger and a few other Las Vegas Region PCA Members braved the extreme 100+ heat to run the full track in the desert with the diehards from the San Diego Porsche Club of America Region. 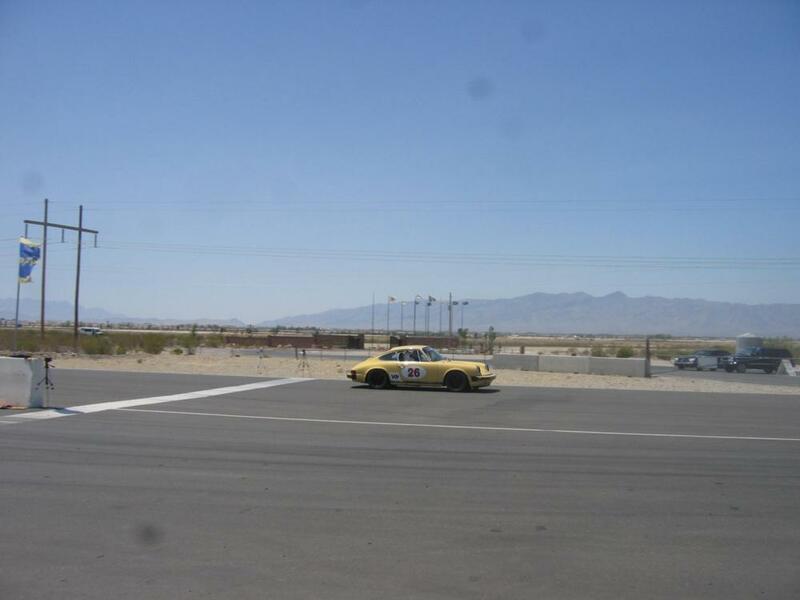 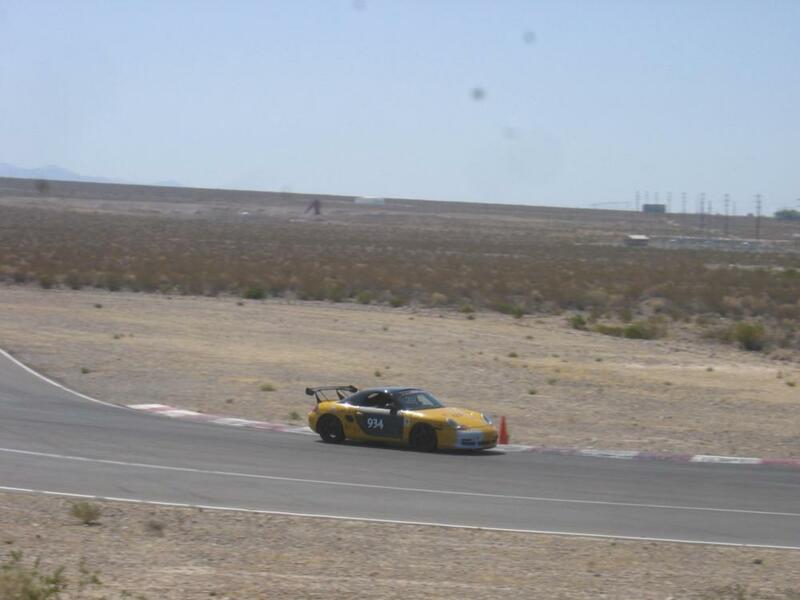 Our track times ranged from a respectable 1:57 to well below that for Jim in his Lotus and David in his Cup Car. 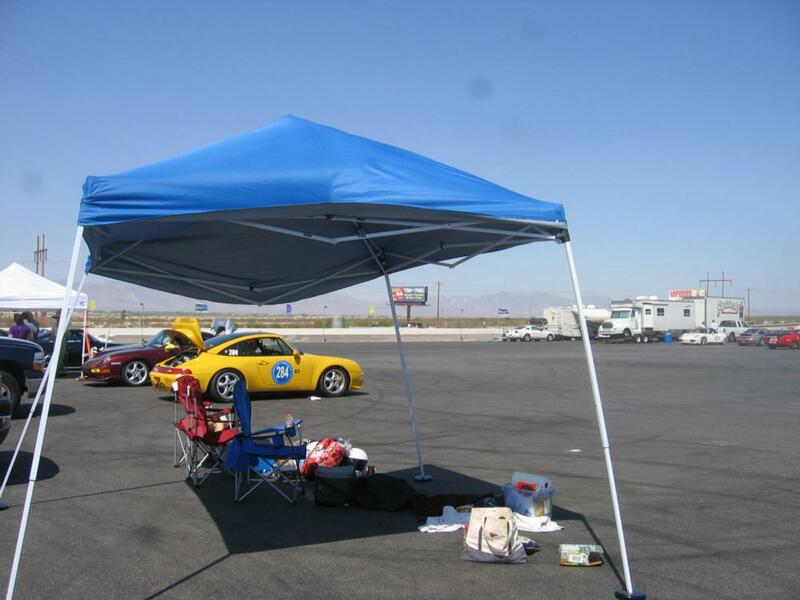 Tony Mazzagatti would have been there, but for his anniversary, so he had to be content sitting by the pool at the Bellagio. 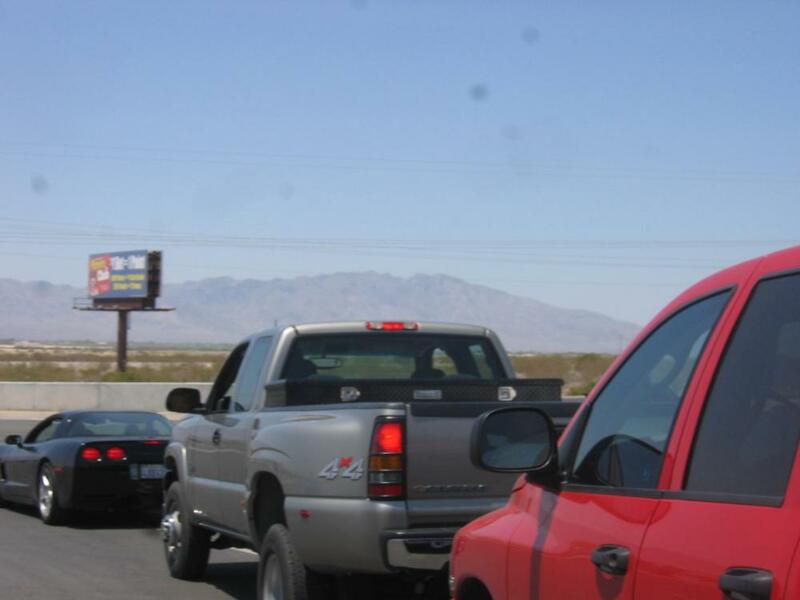 Poor guy!!! 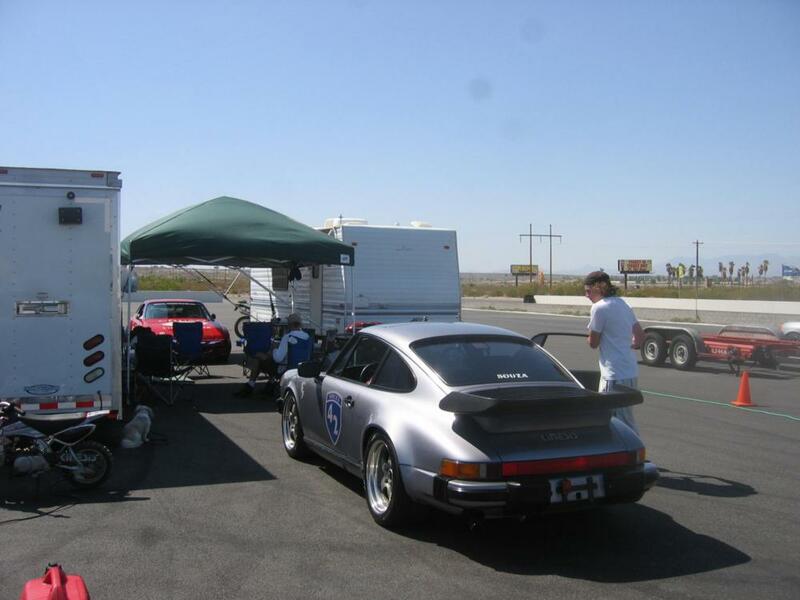 By the end of the last session we all wished we could have been poolside with Tony!